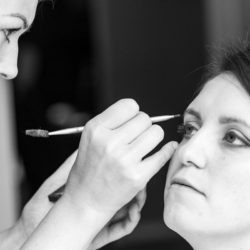 I am Suzanne, a freelance professional makeup artist and hair stylist and owner of the business. 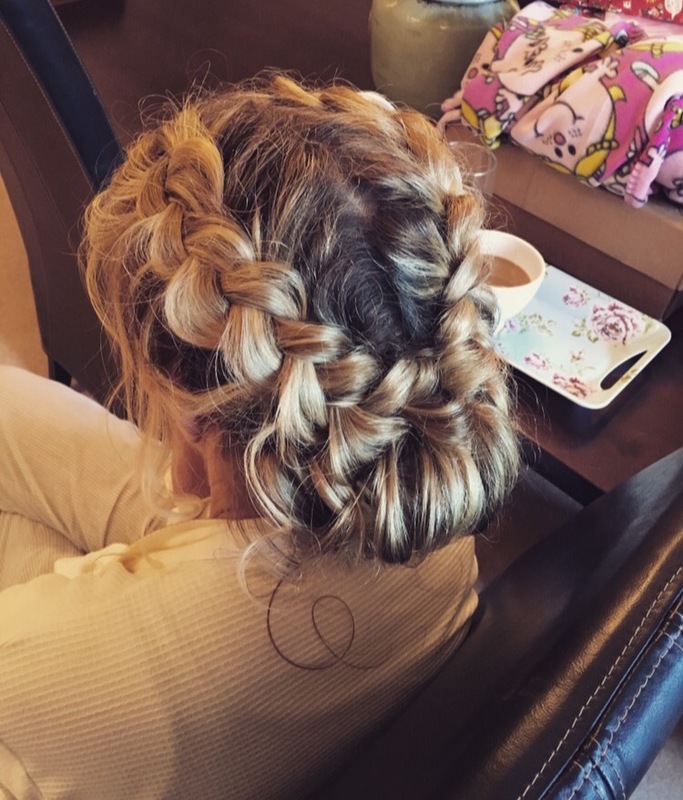 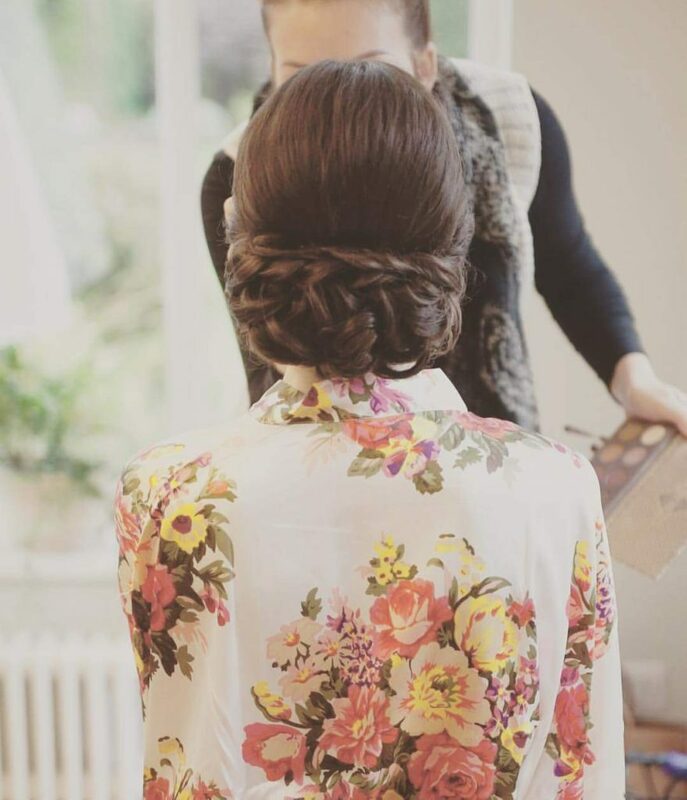 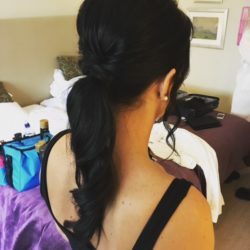 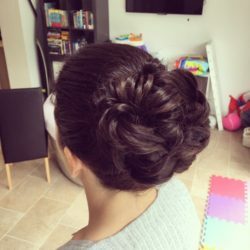 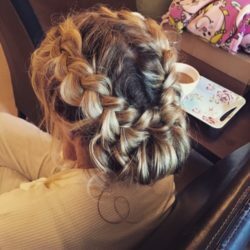 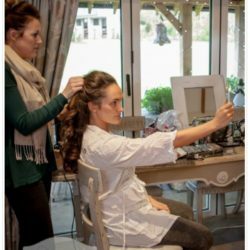 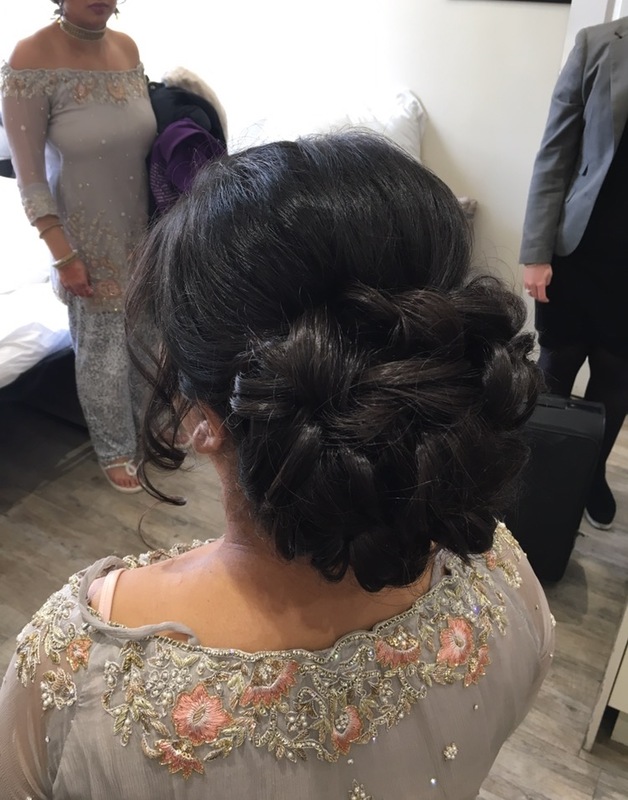 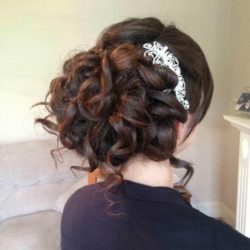 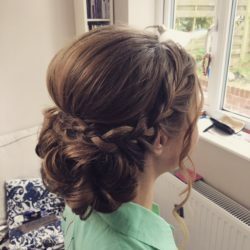 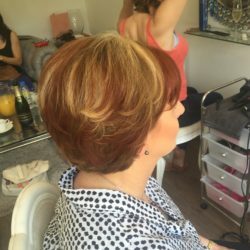 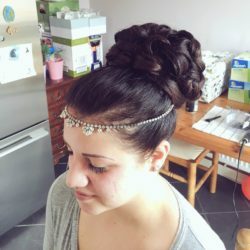 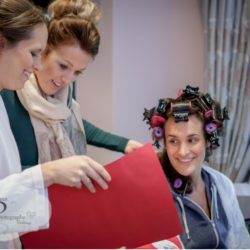 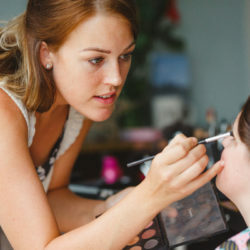 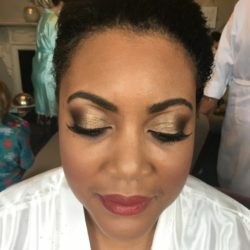 I trained at the London School Of Beauty and completed a Diploma at The Southern School of Beauty specialising in bridal, special occasion, fashion and photographic hair and makeup techniques. 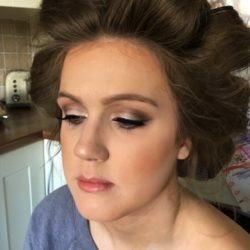 I enjoy being creative so whether you want to have a natural or dramatic look, using my skills and knowledge, I can offer a wide range of services for all occasions. 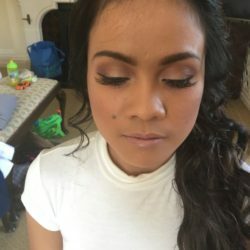 I am extremely passionate about every feature of makeup artistry and my duty is to highlight the natural beauty in all of you. 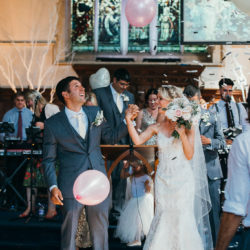 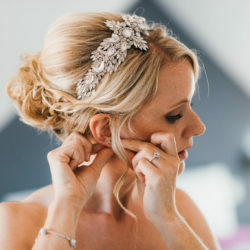 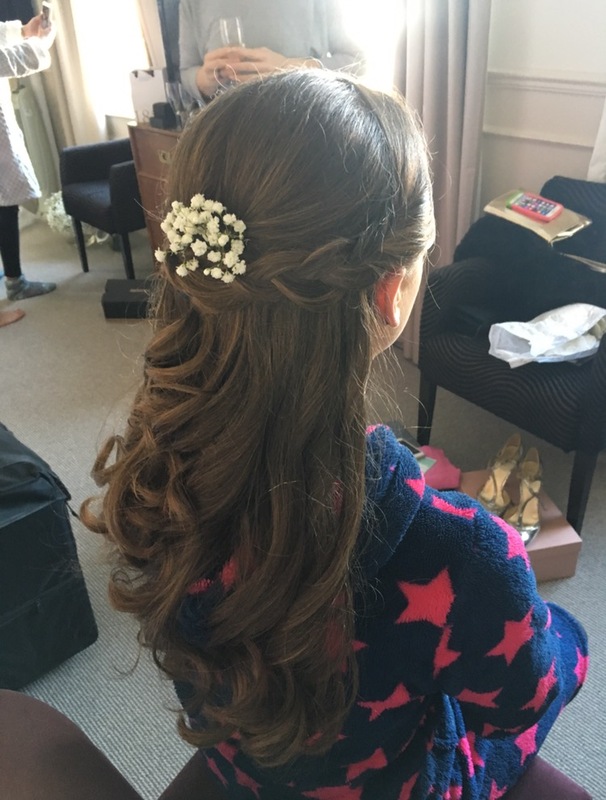 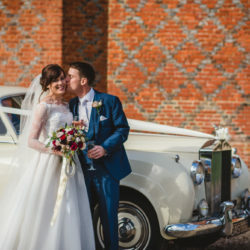 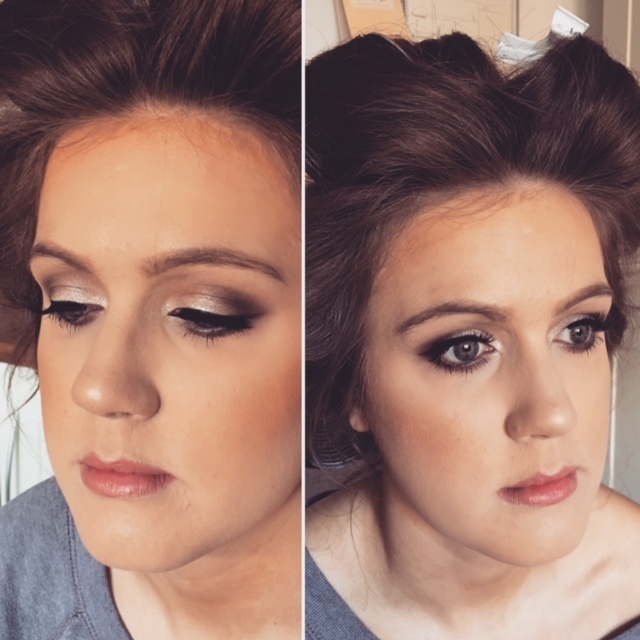 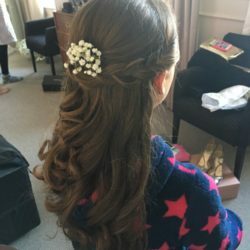 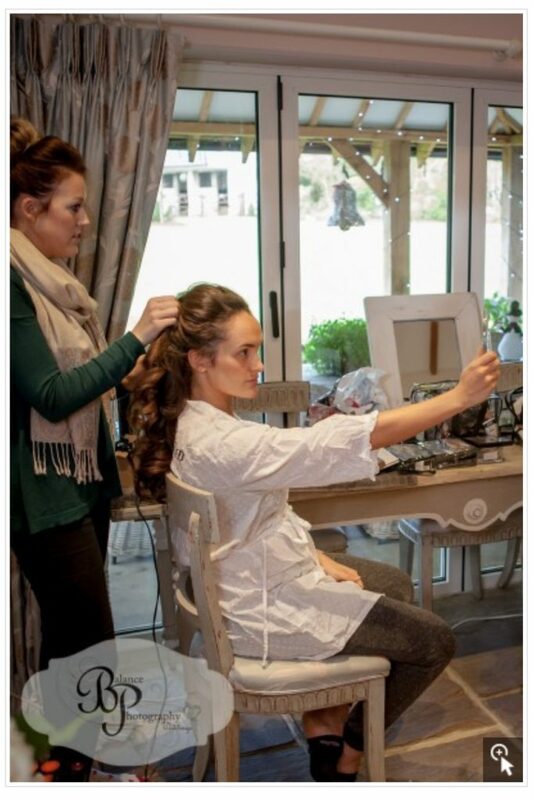 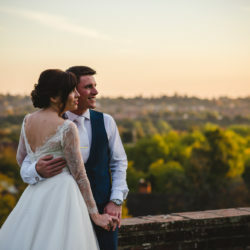 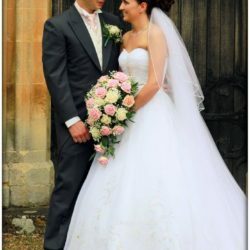 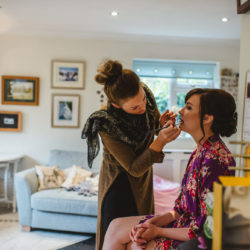 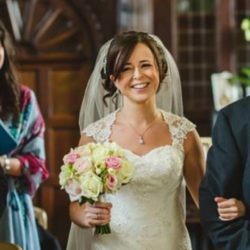 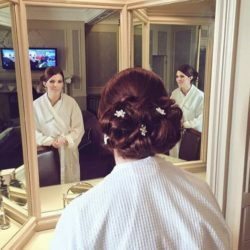 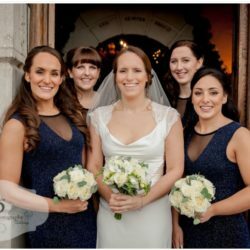 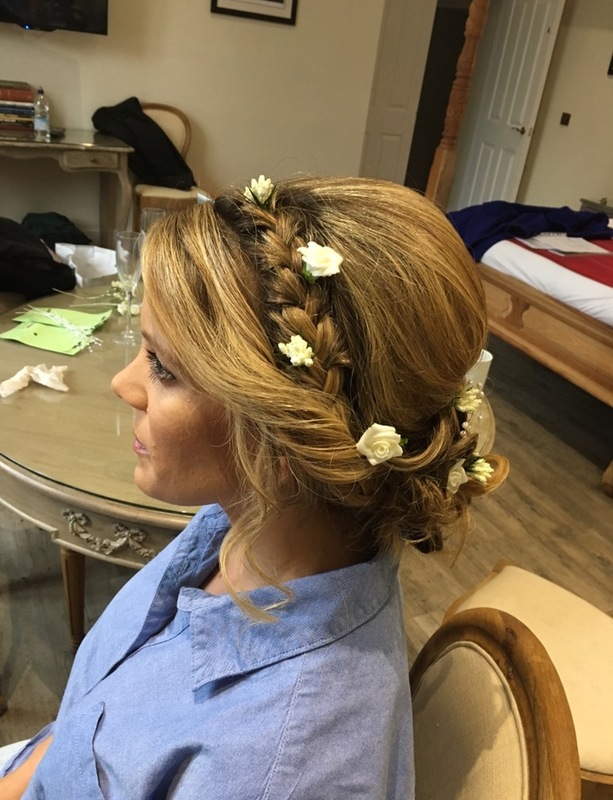 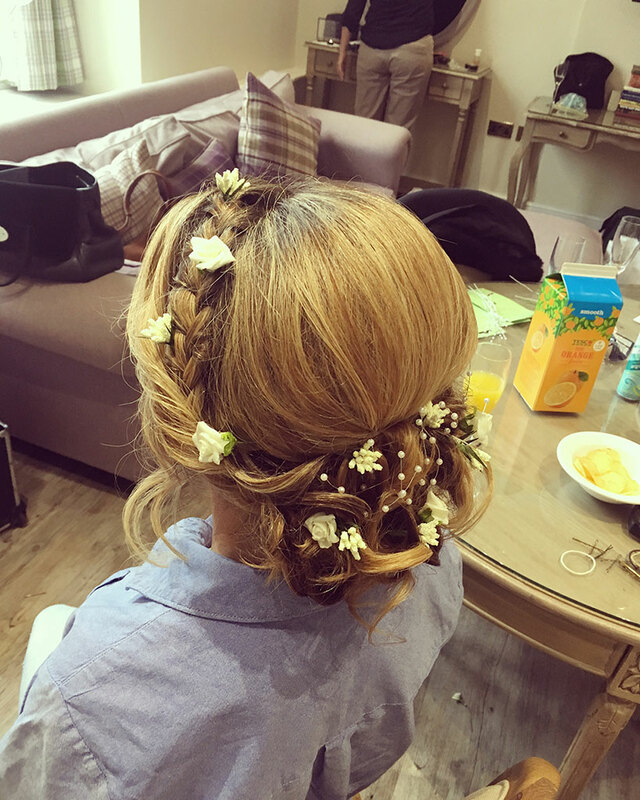 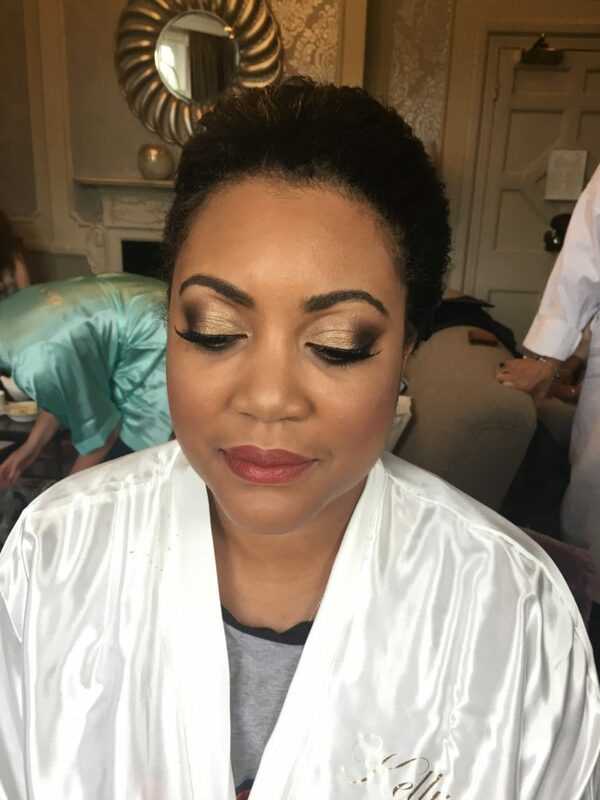 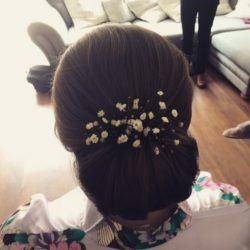 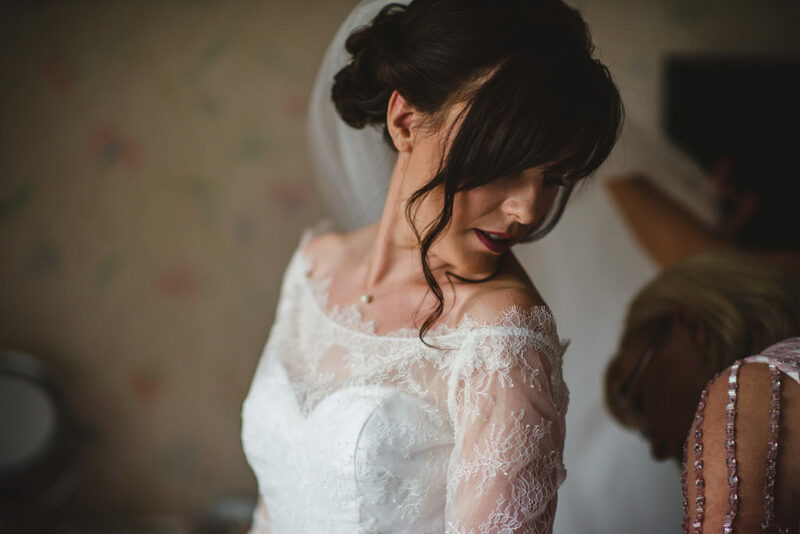 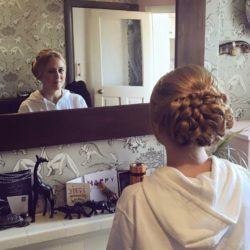 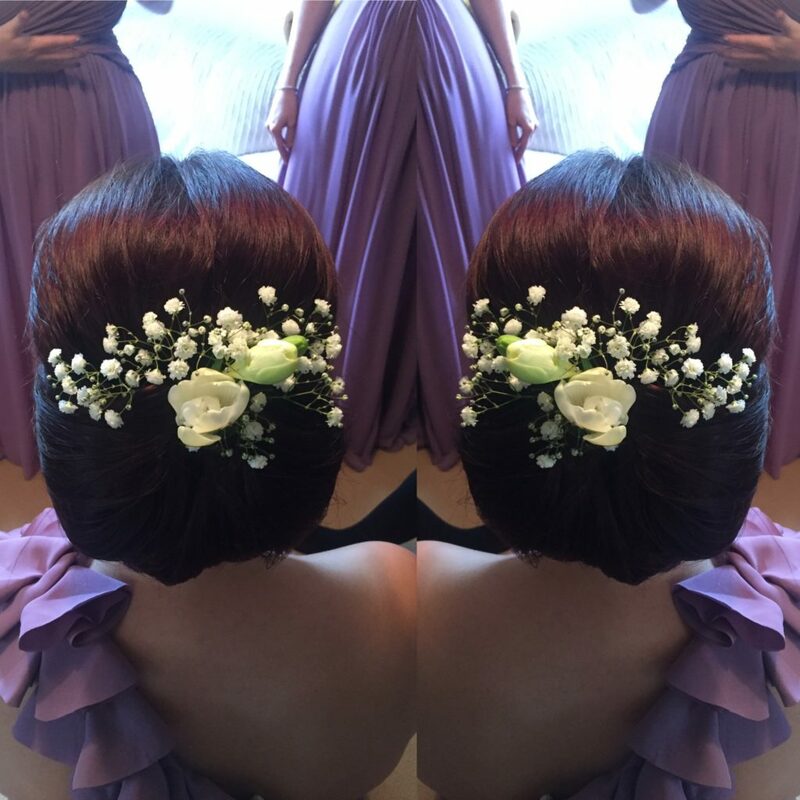 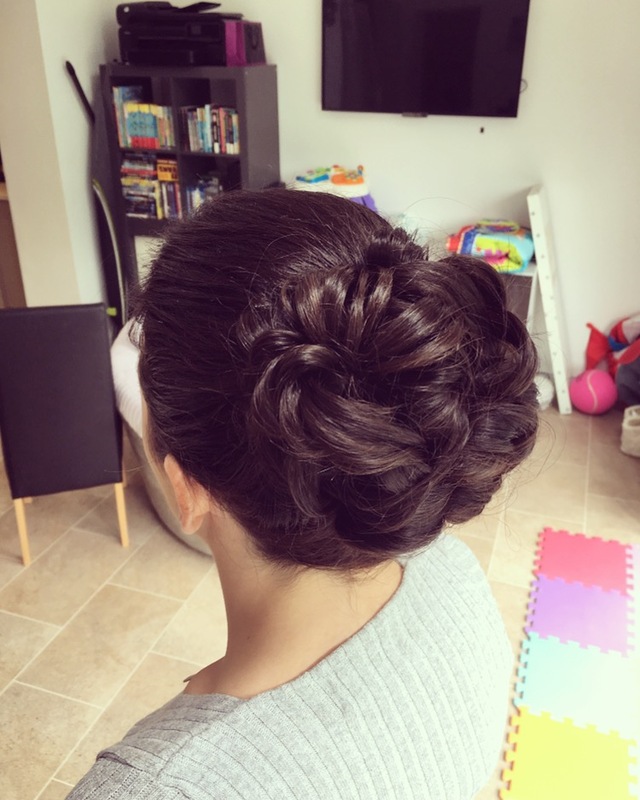 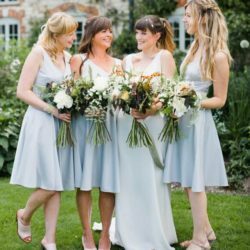 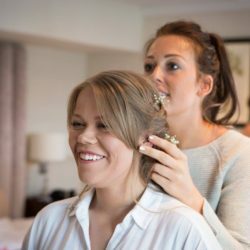 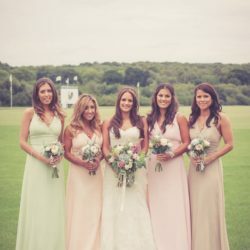 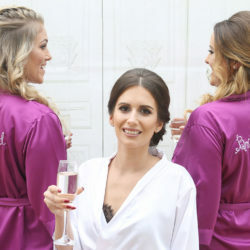 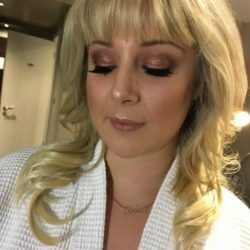 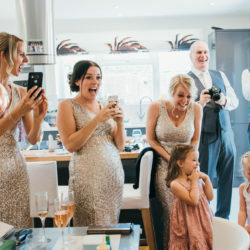 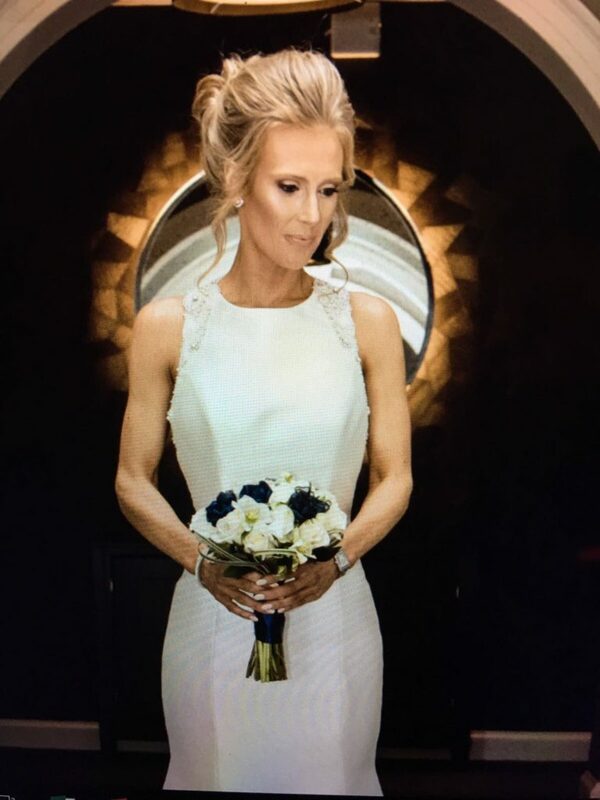 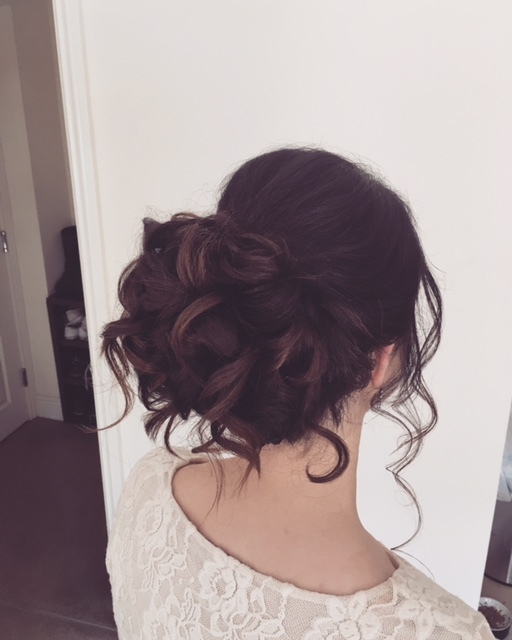 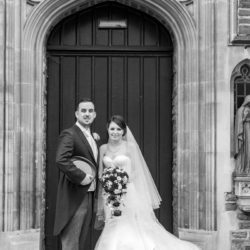 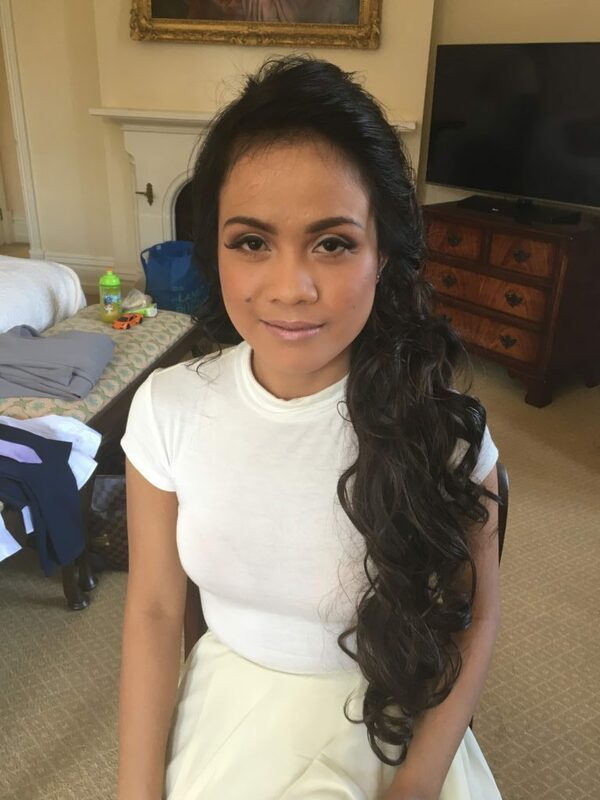 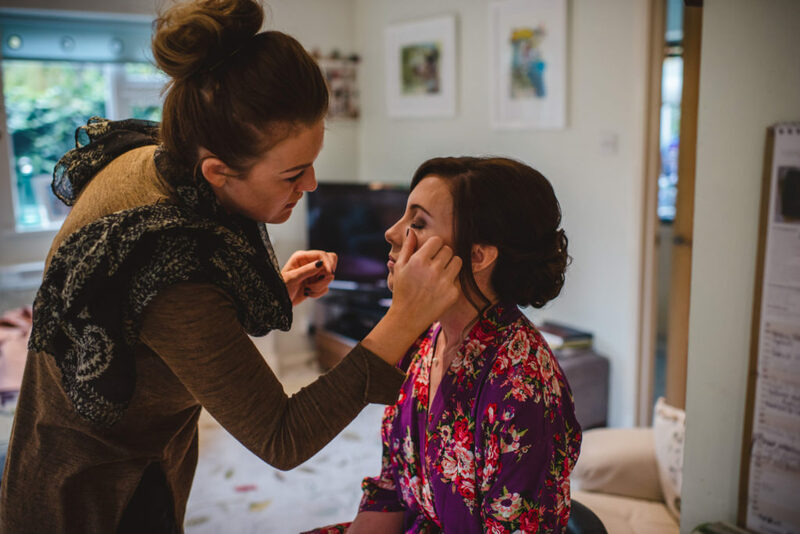 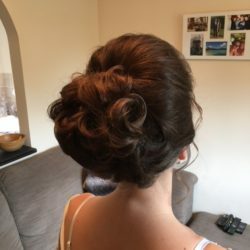 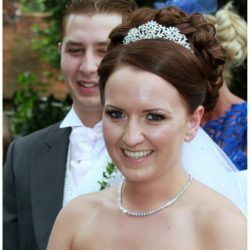 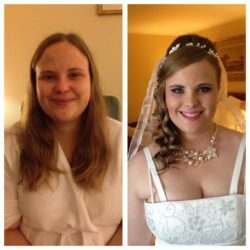 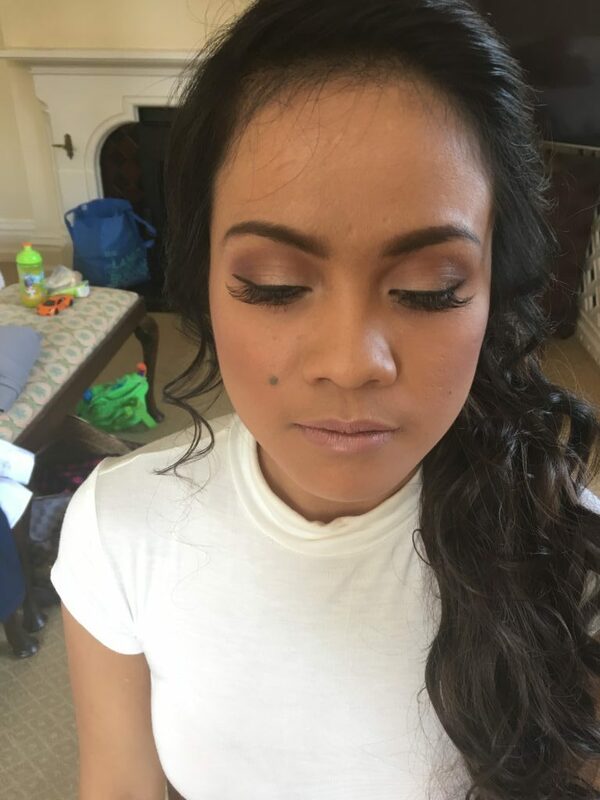 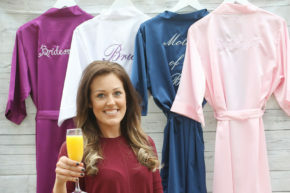 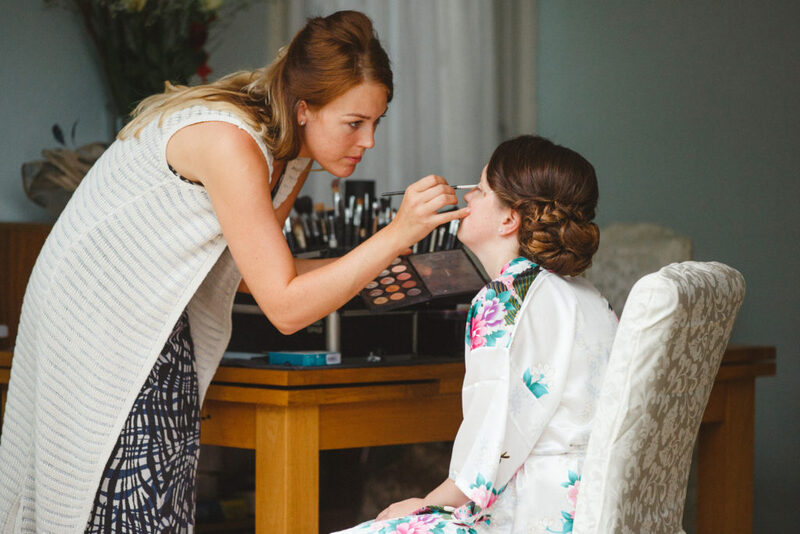 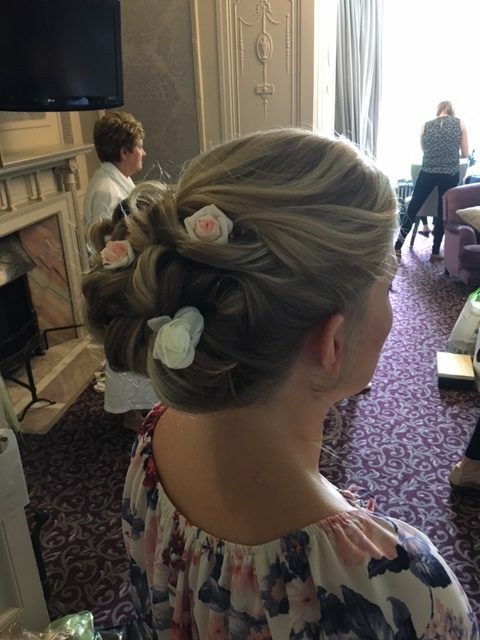 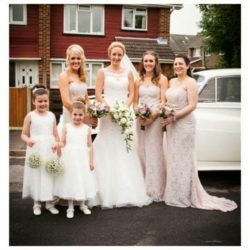 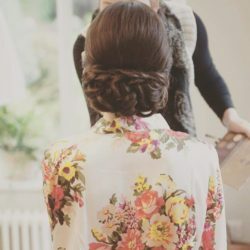 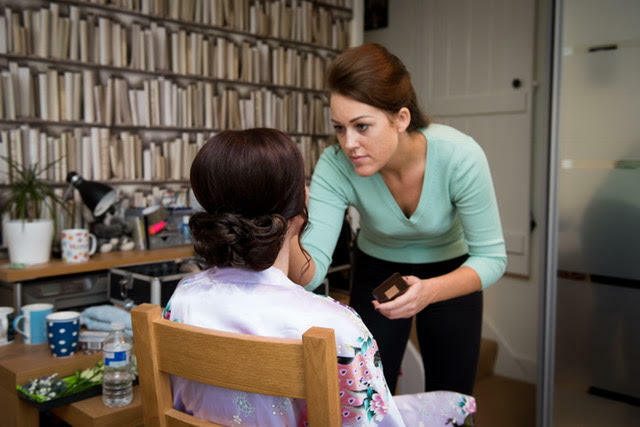 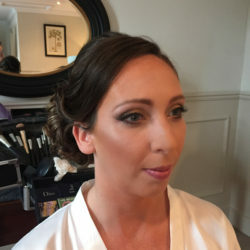 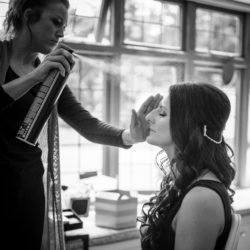 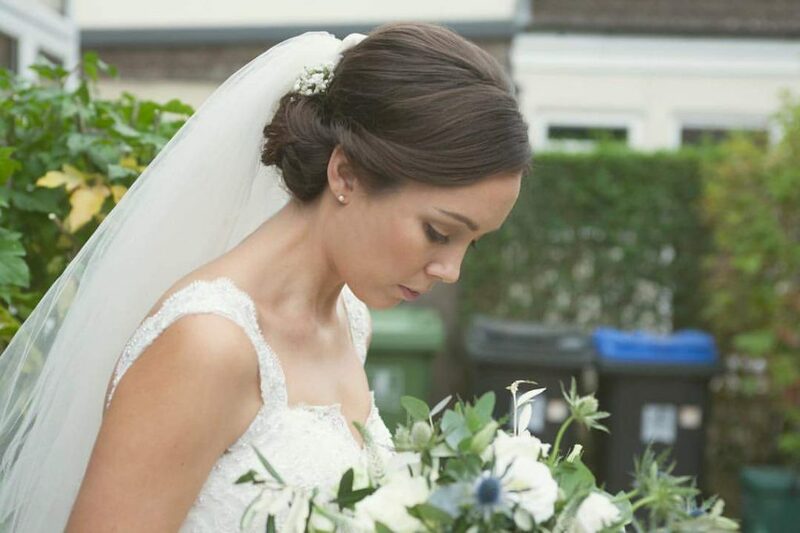 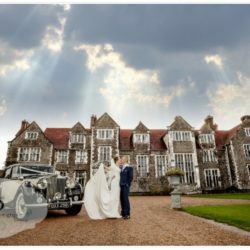 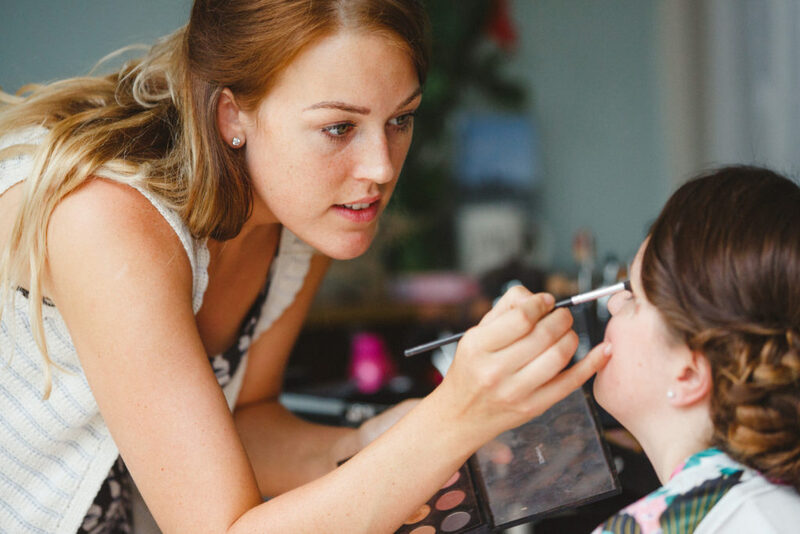 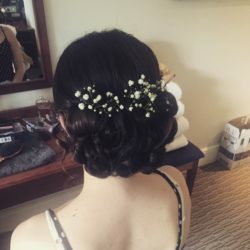 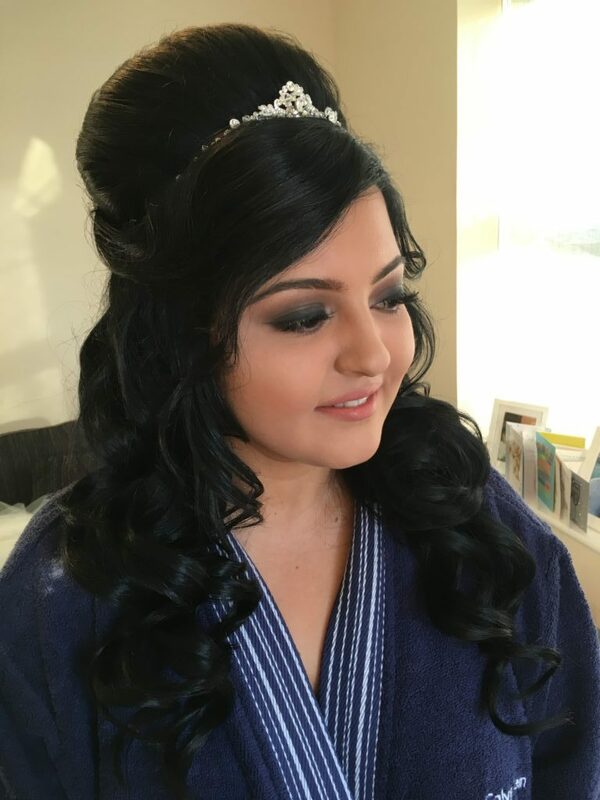 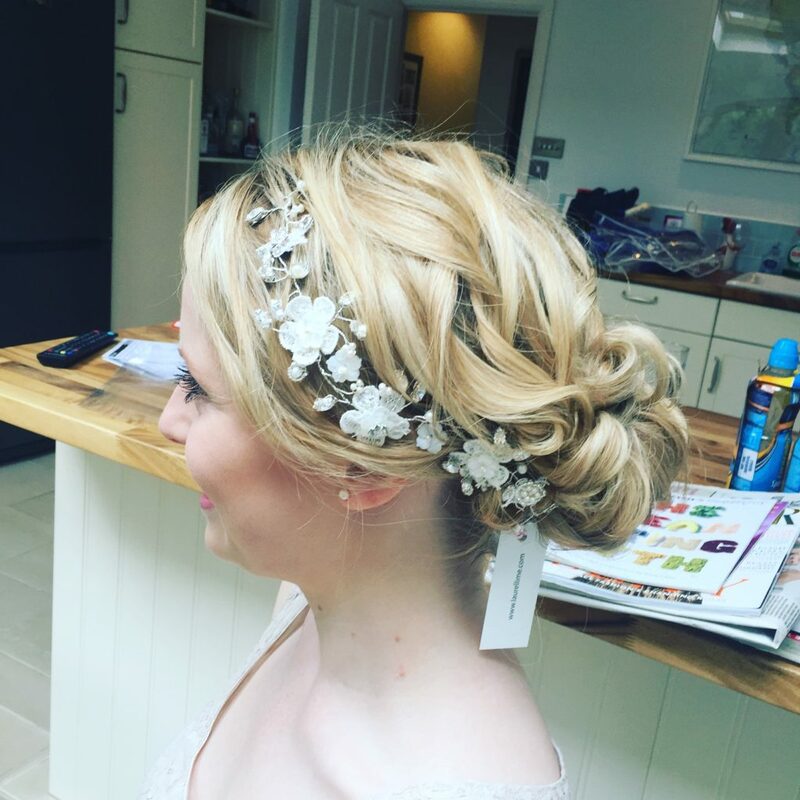 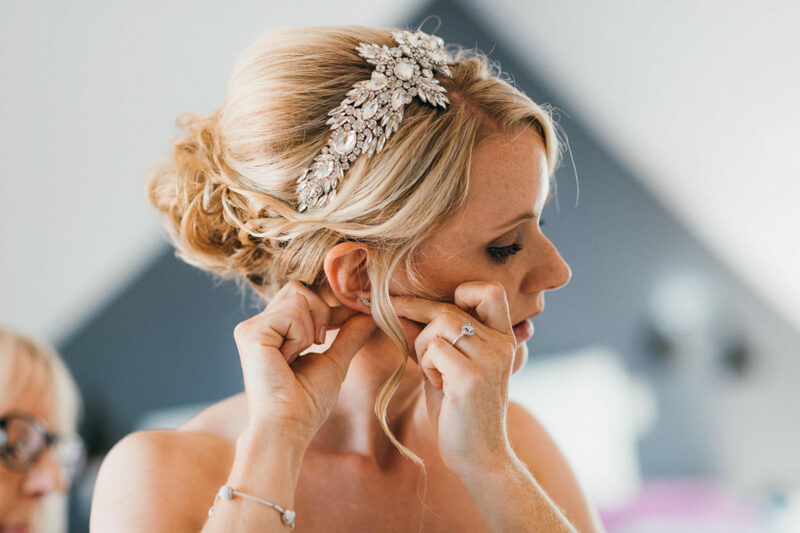 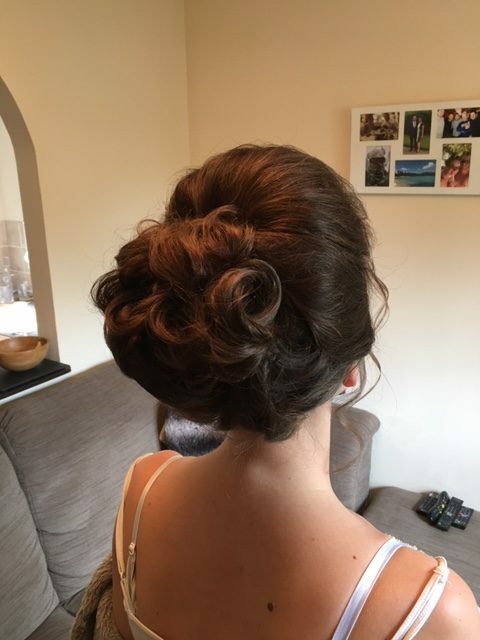 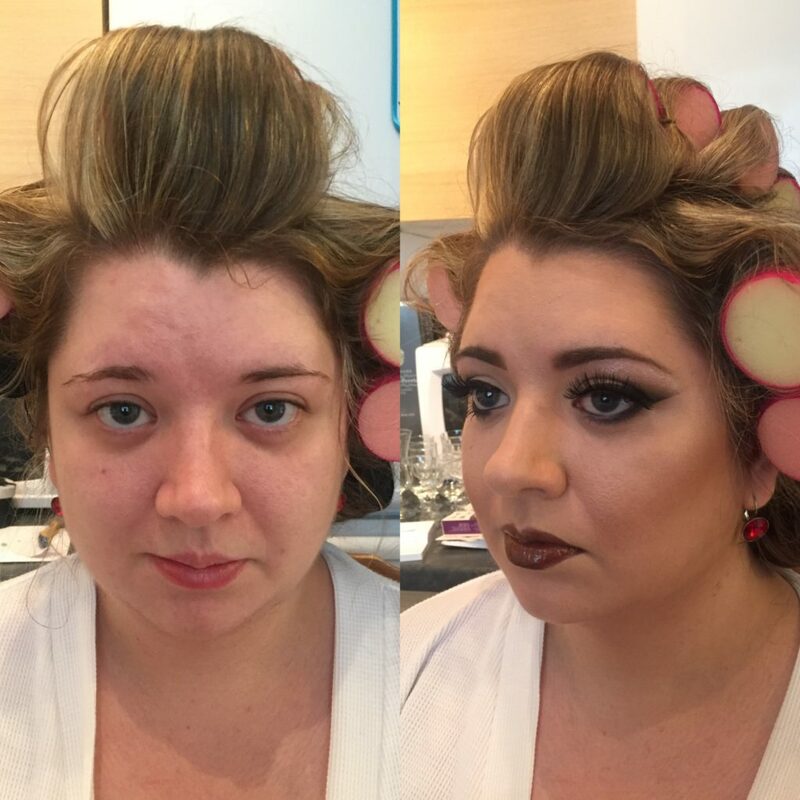 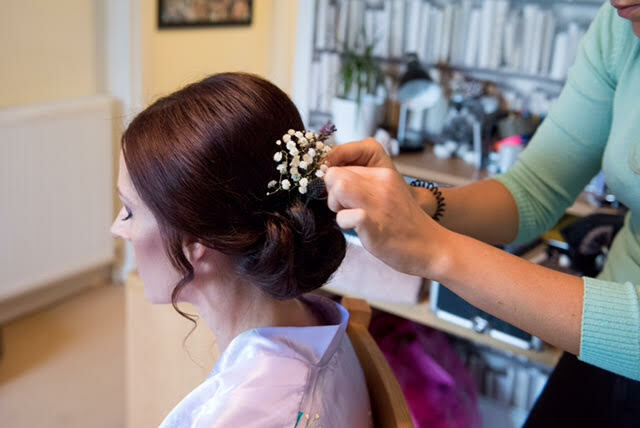 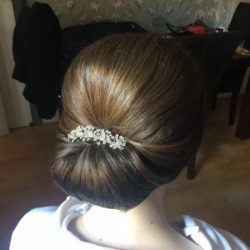 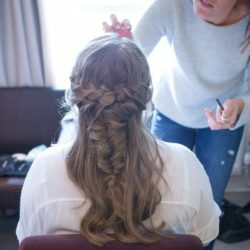 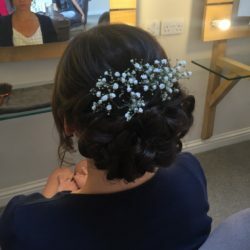 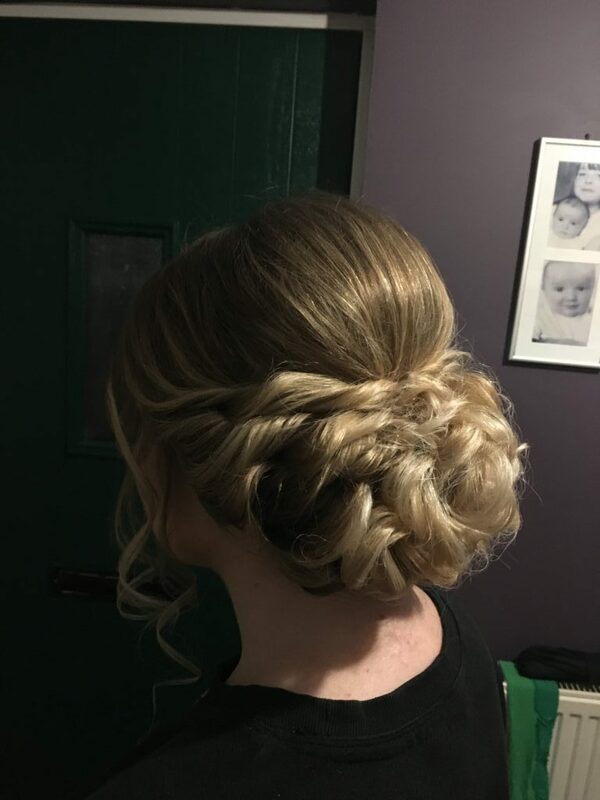 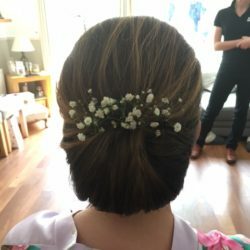 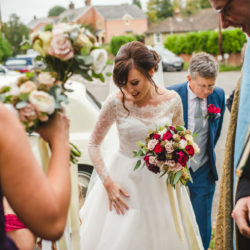 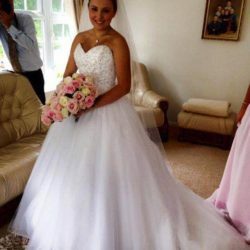 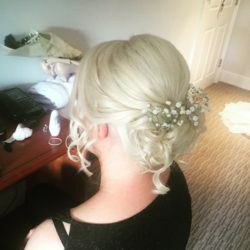 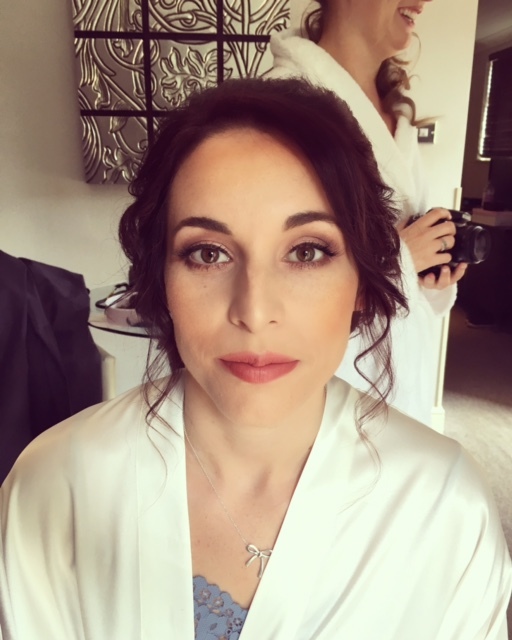 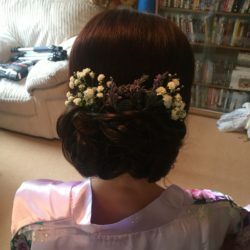 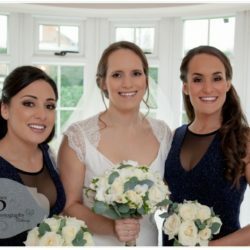 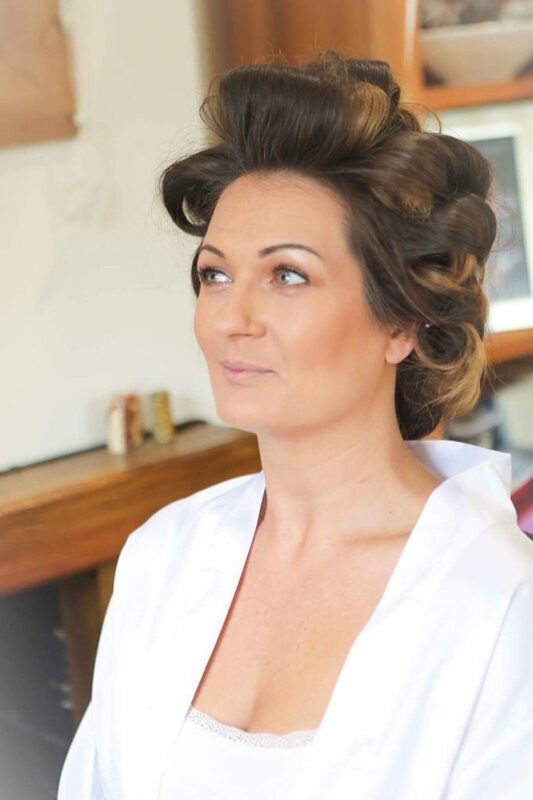 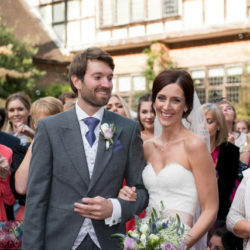 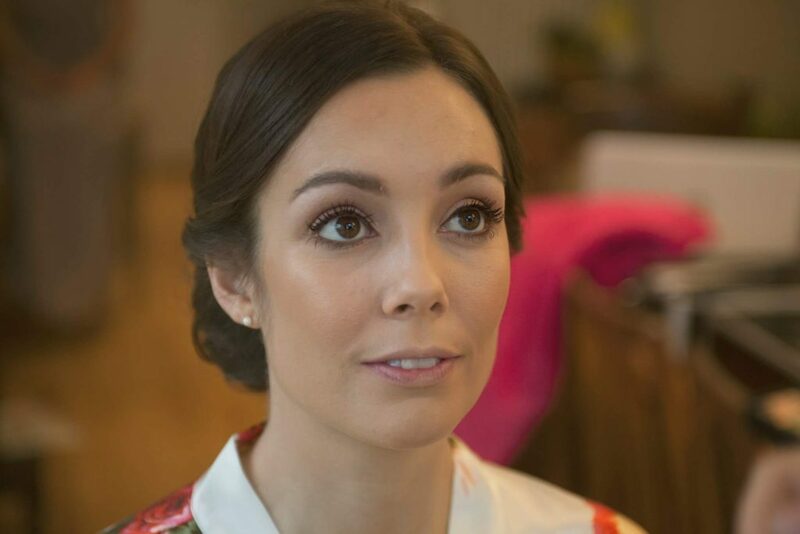 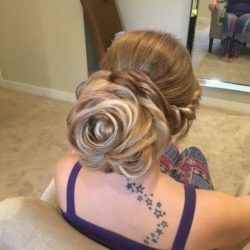 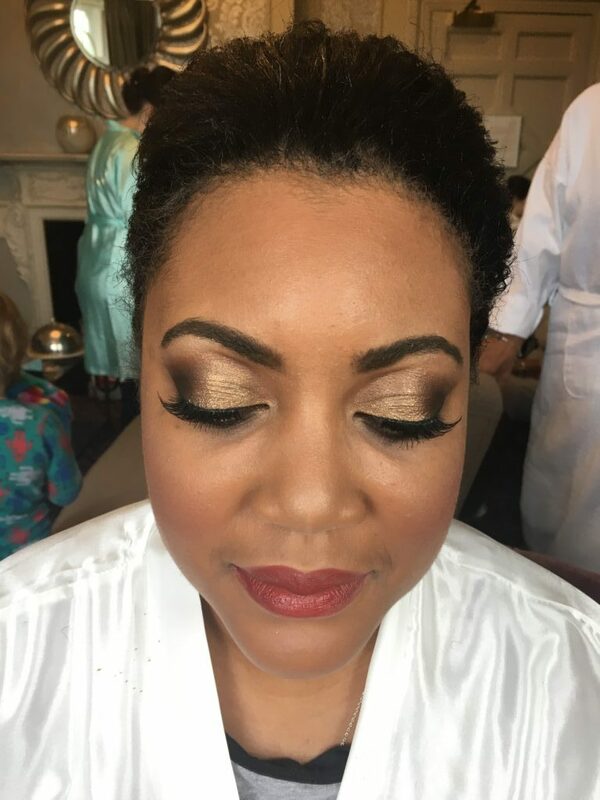 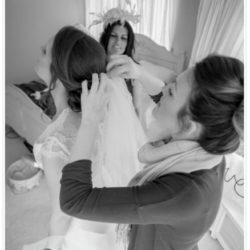 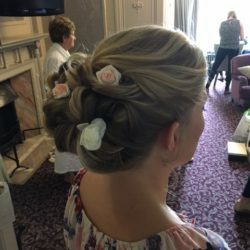 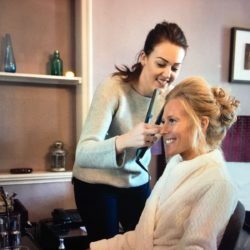 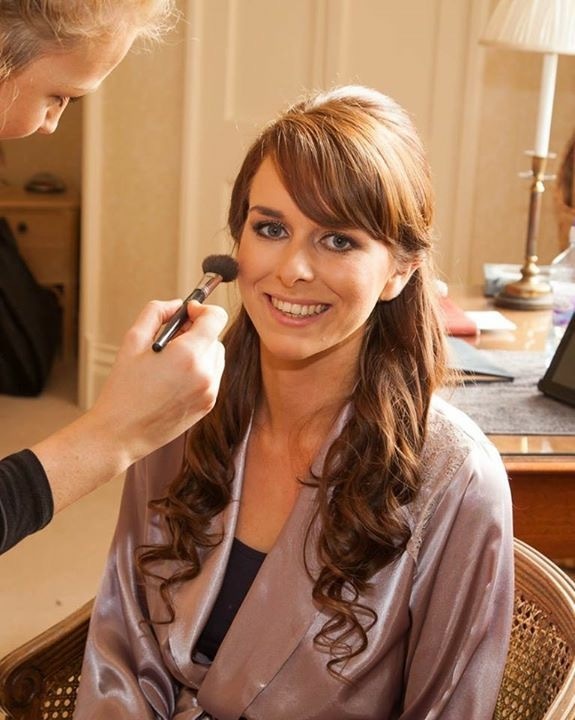 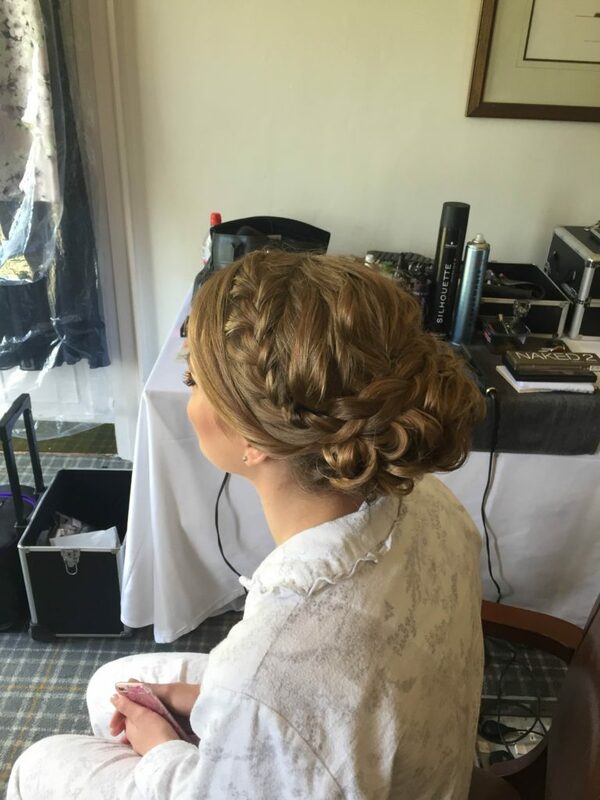 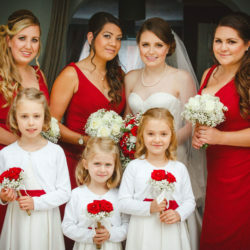 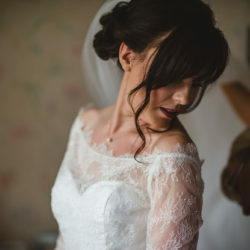 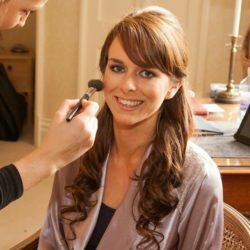 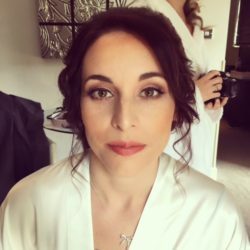 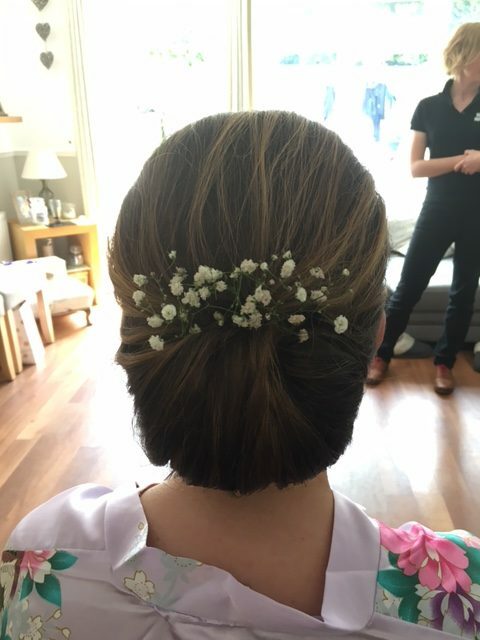 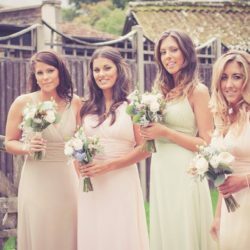 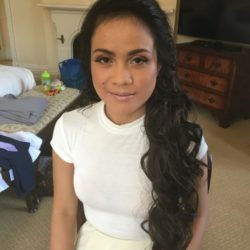 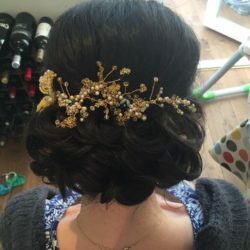 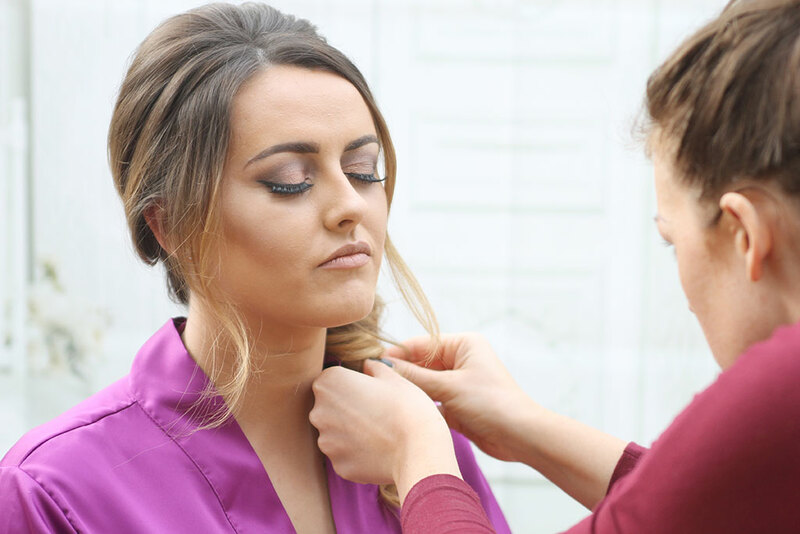 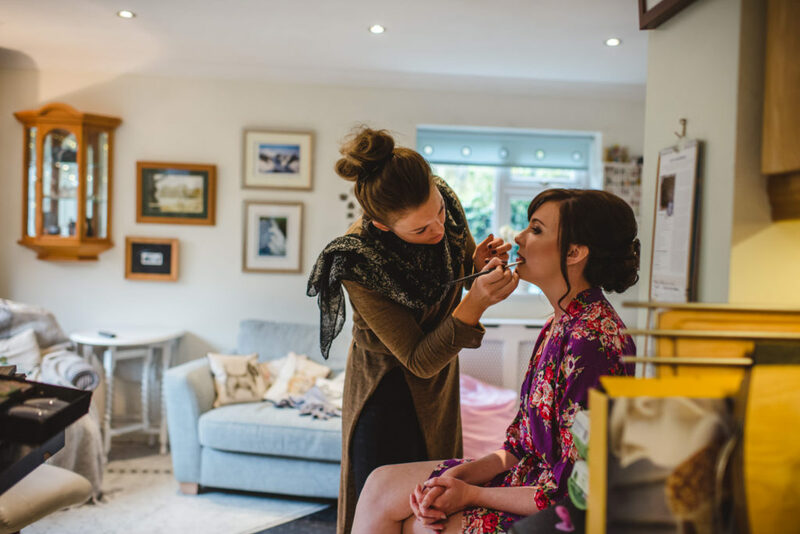 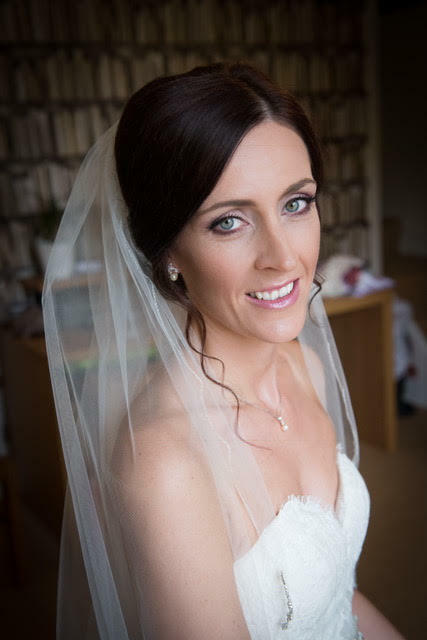 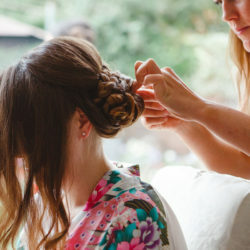 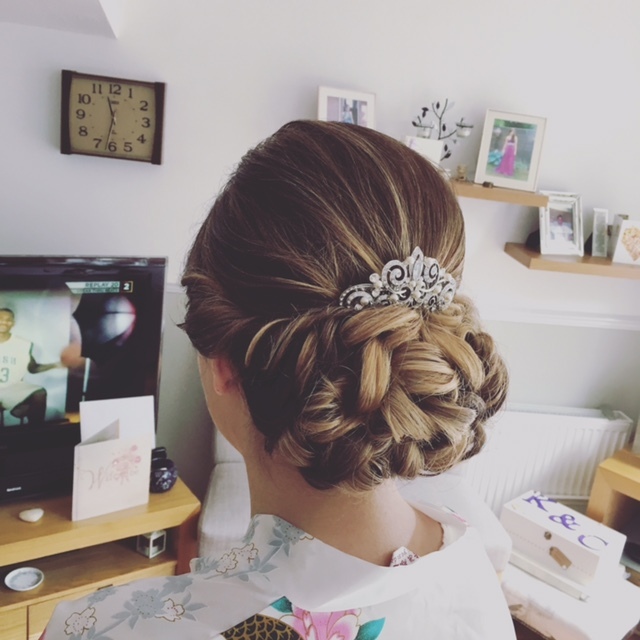 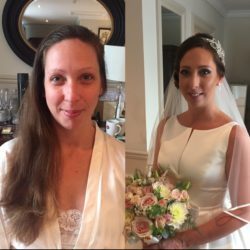 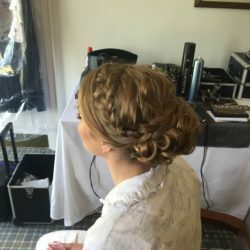 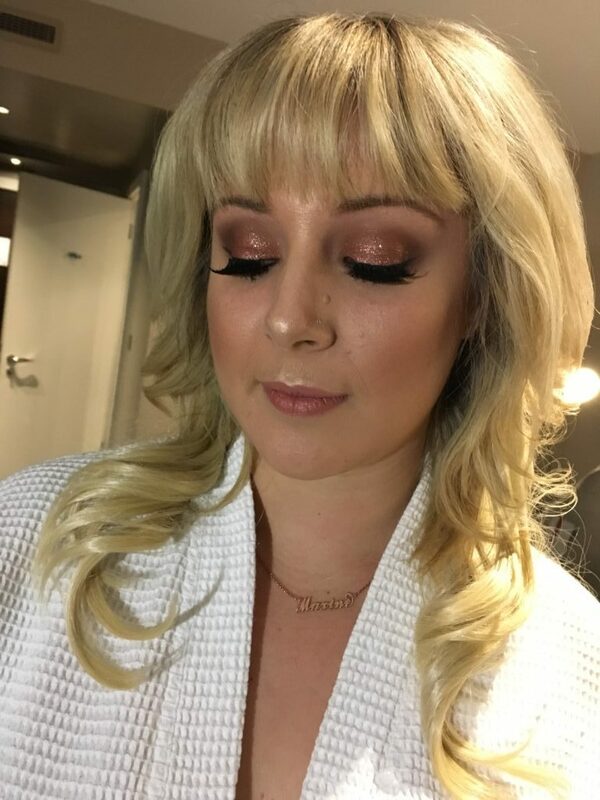 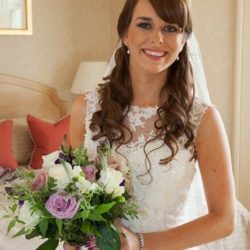 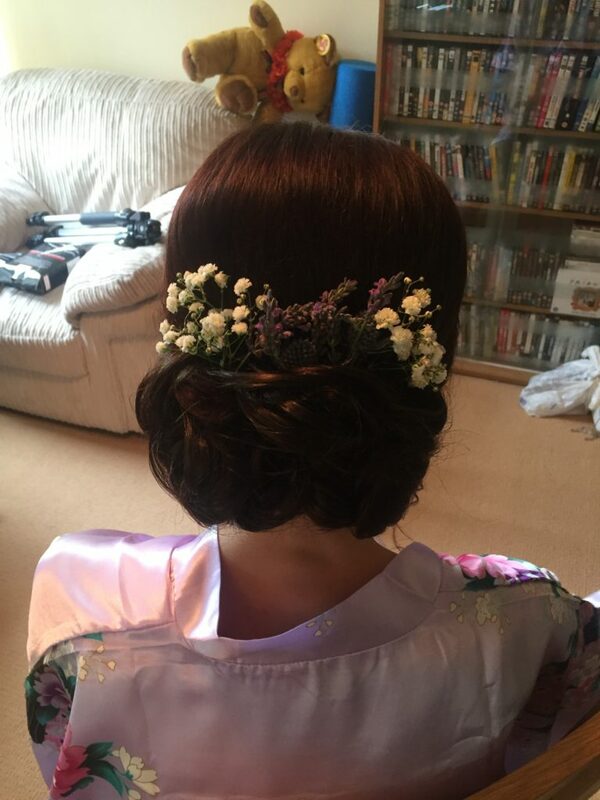 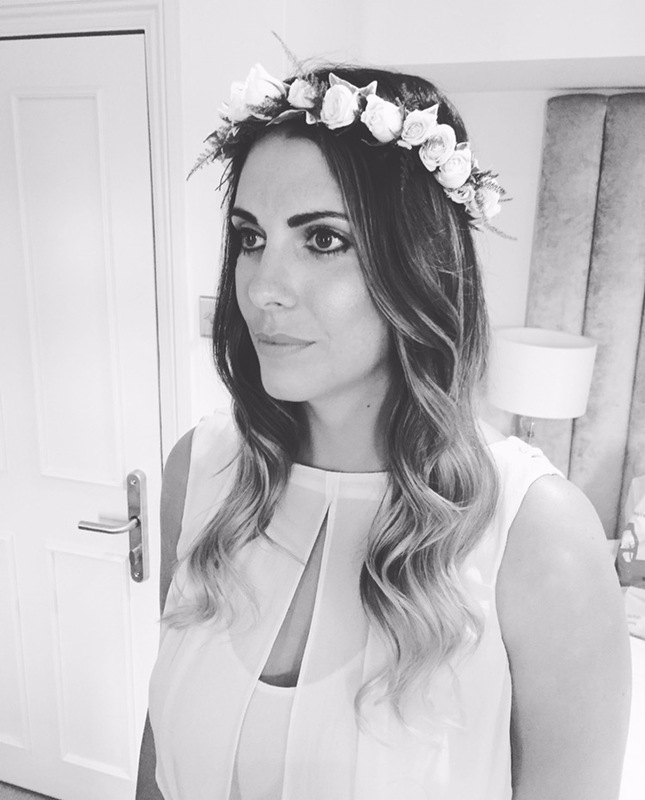 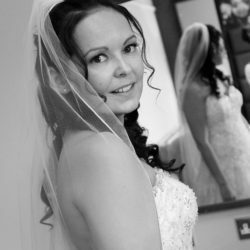 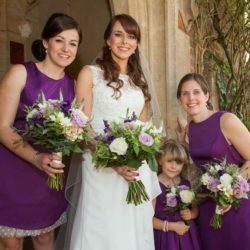 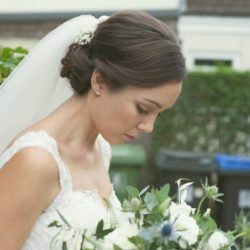 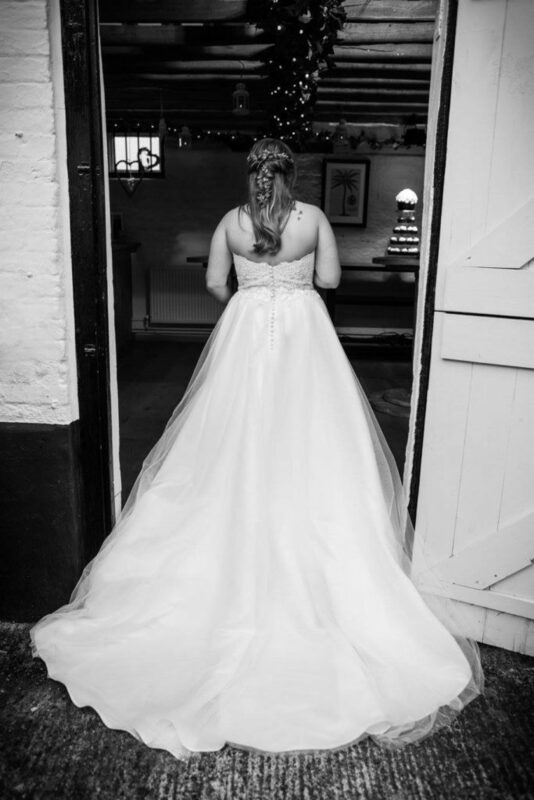 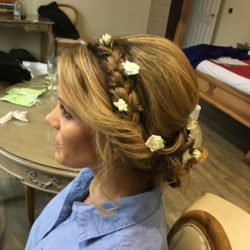 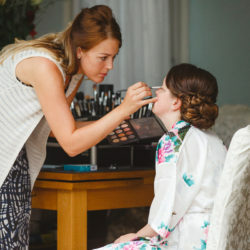 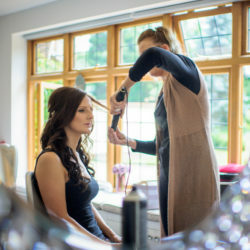 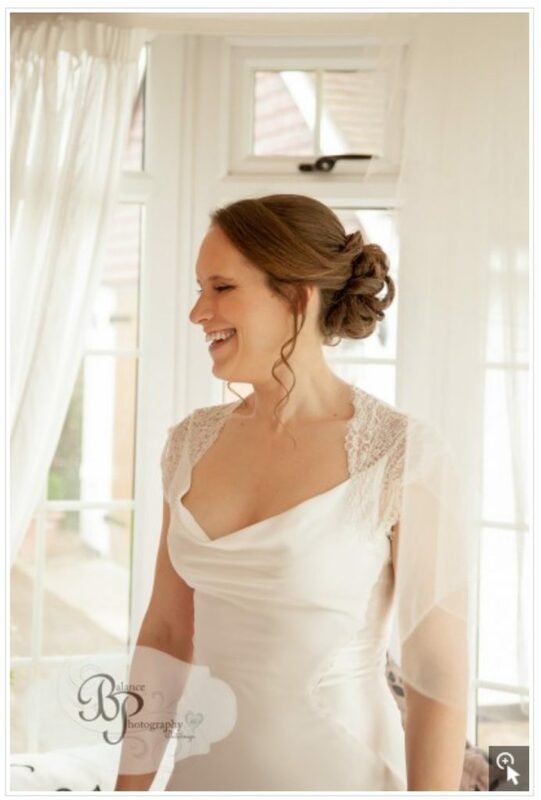 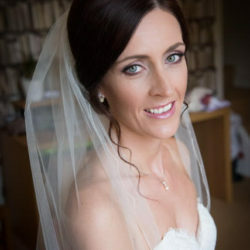 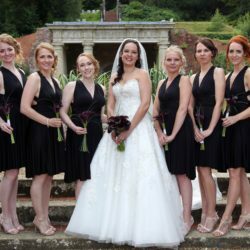 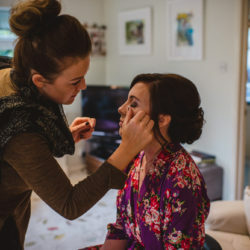 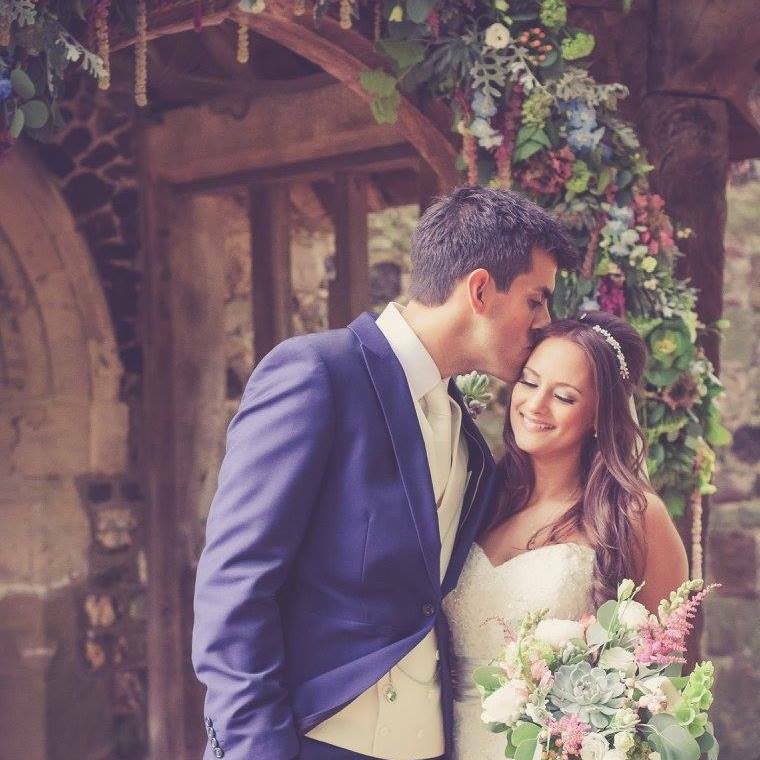 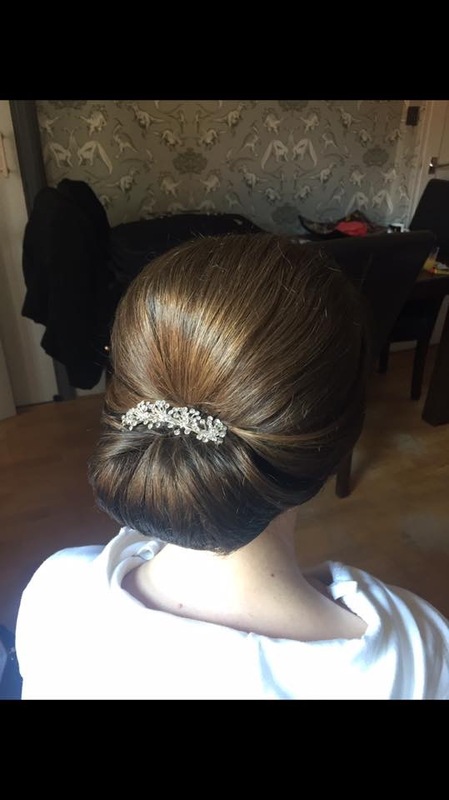 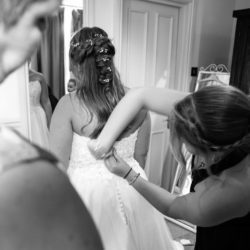 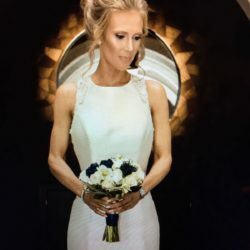 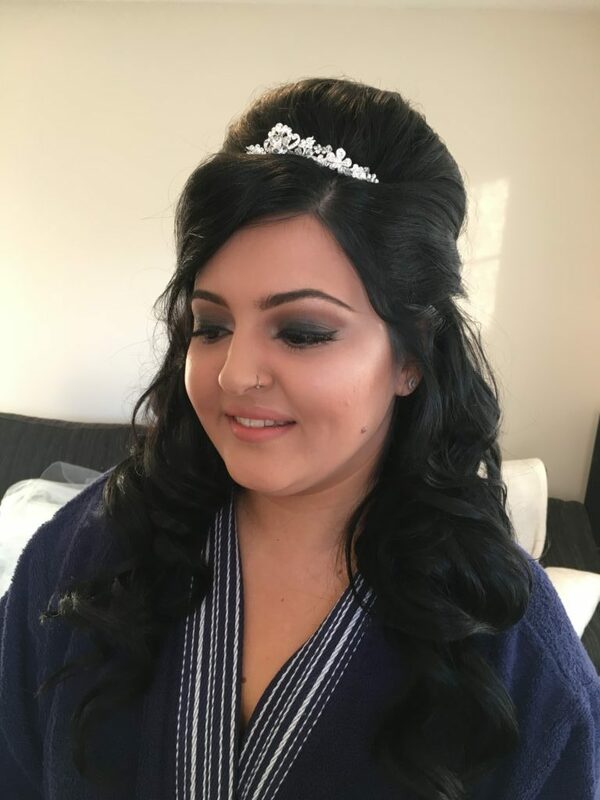 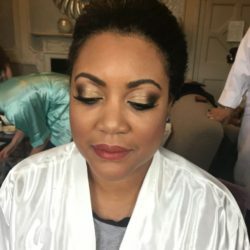 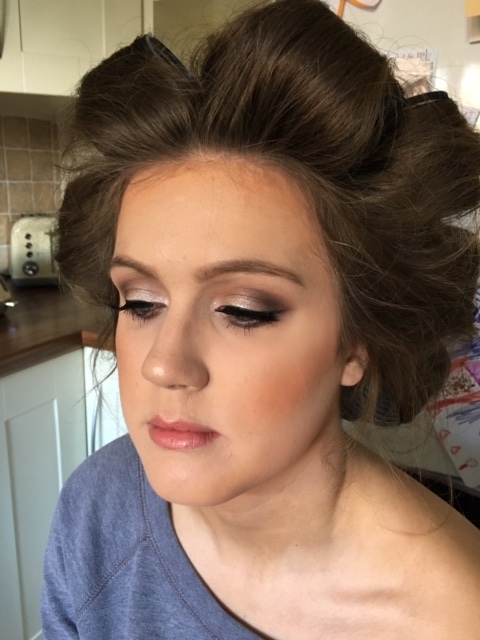 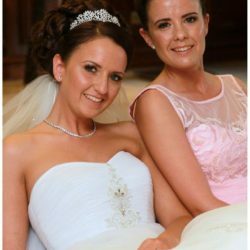 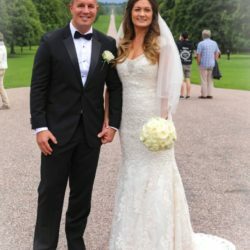 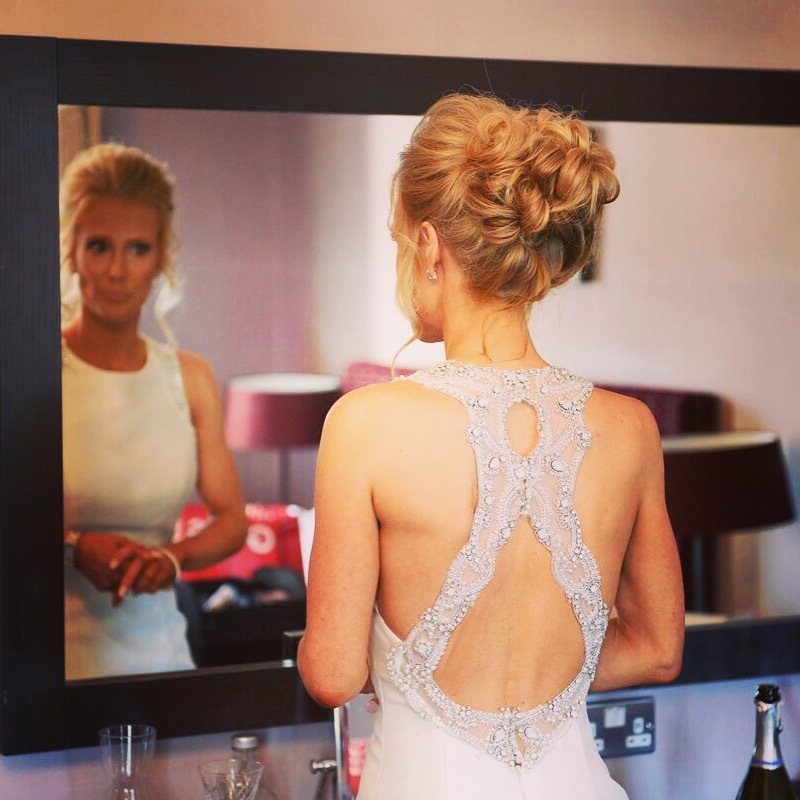 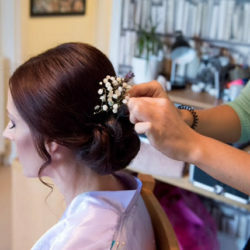 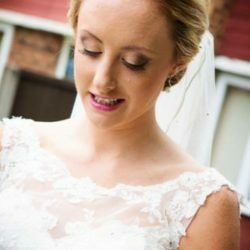 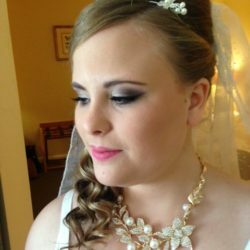 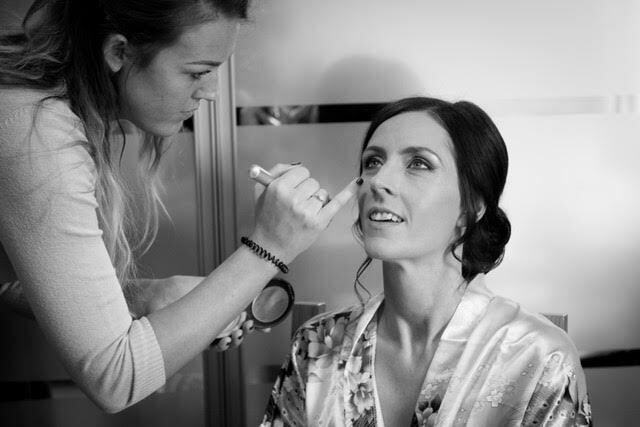 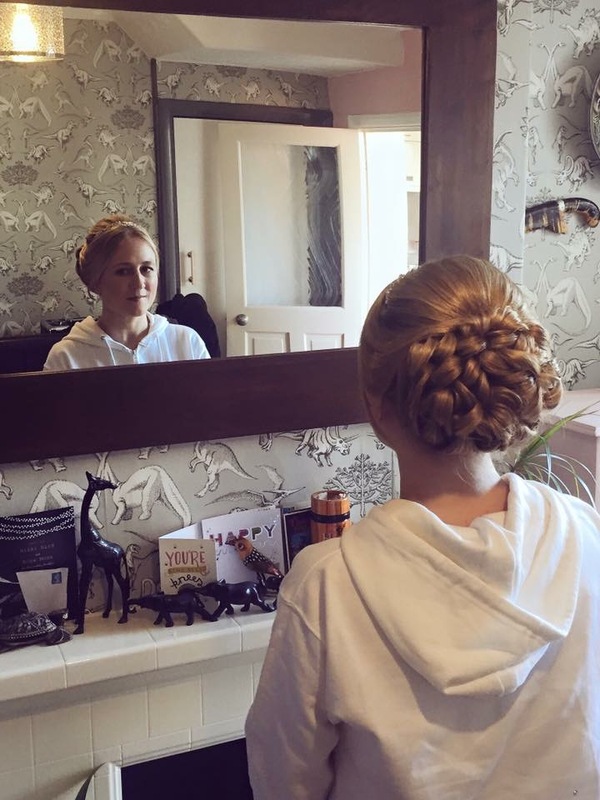 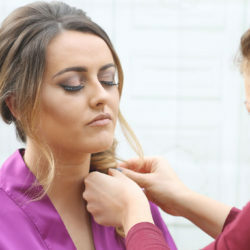 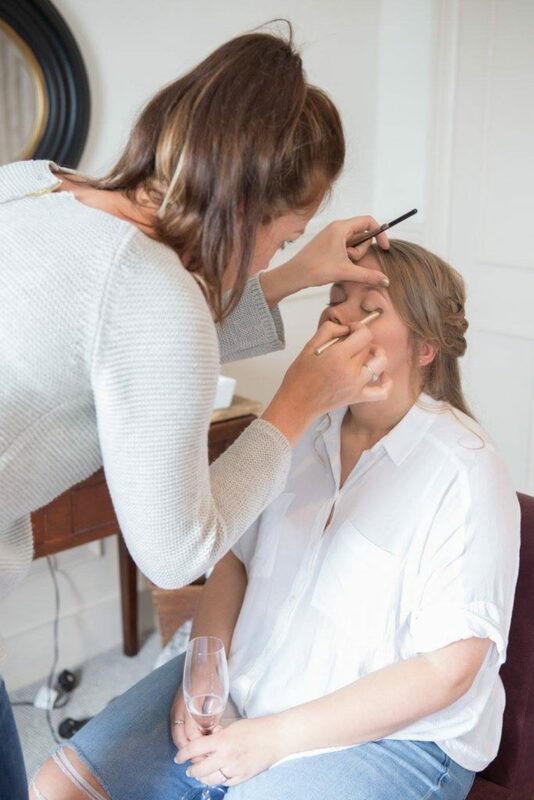 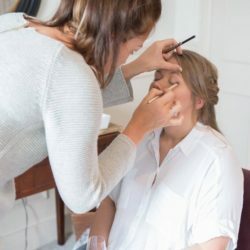 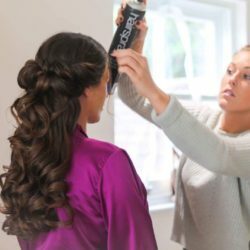 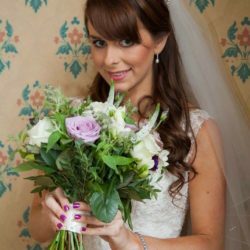 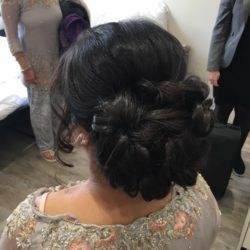 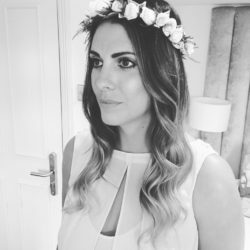 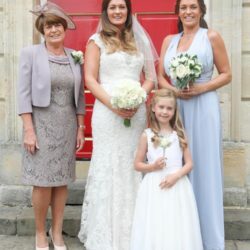 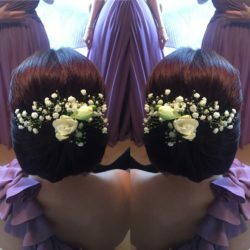 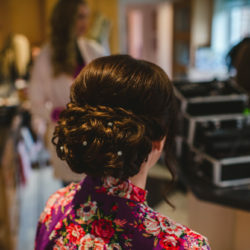 I have just over 8 years of experience working with brides and their families, achieving striking looks for evenings and unique occasions, catwalks, proms and a more natural look for any day occasion, so you can be confident that I will accomplish the look you require. 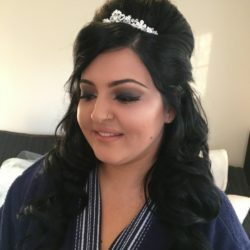 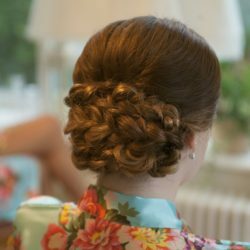 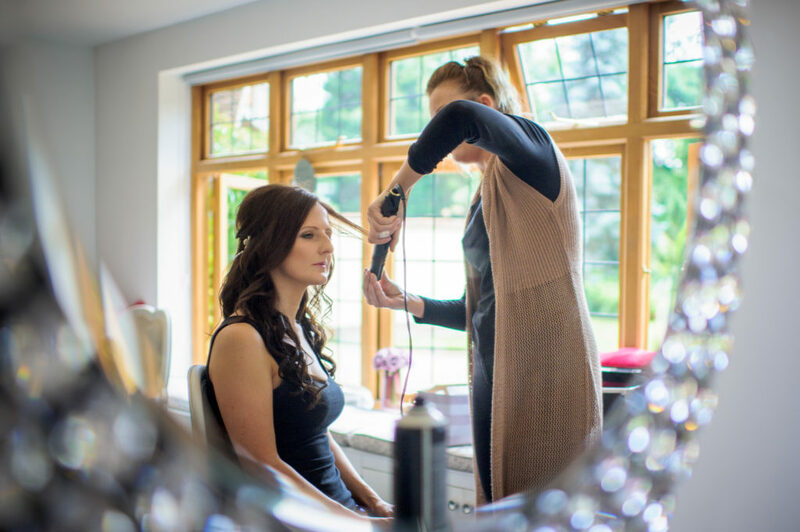 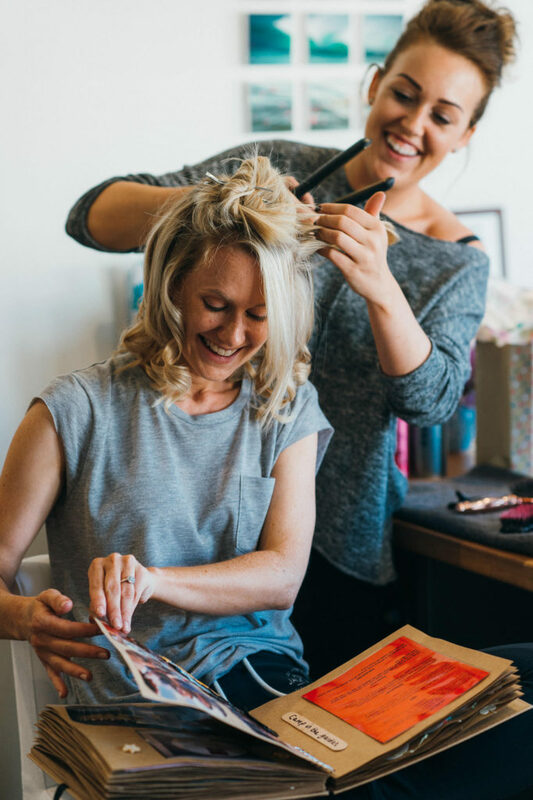 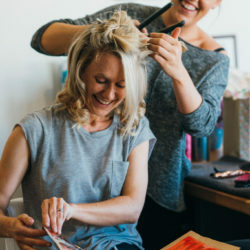 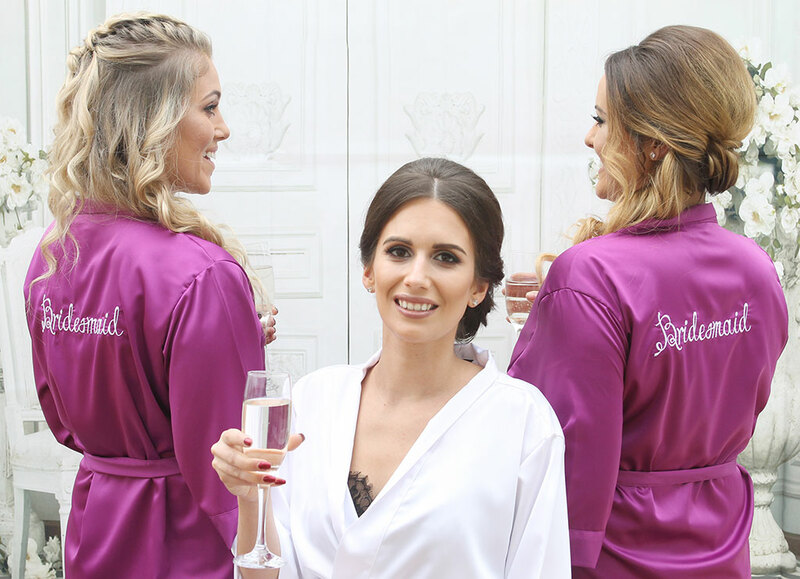 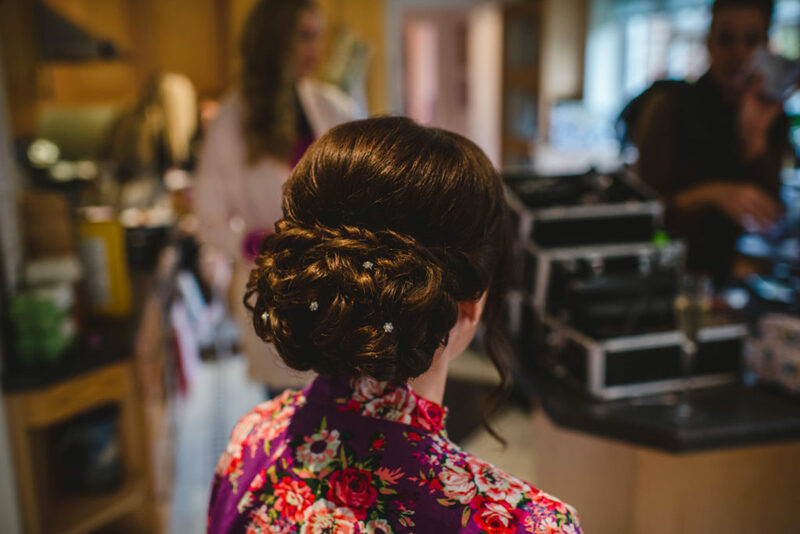 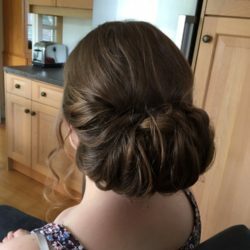 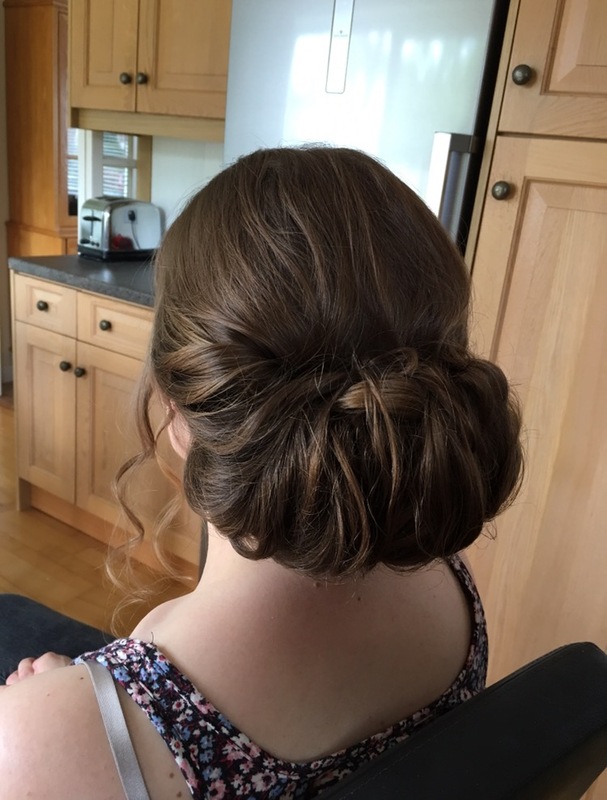 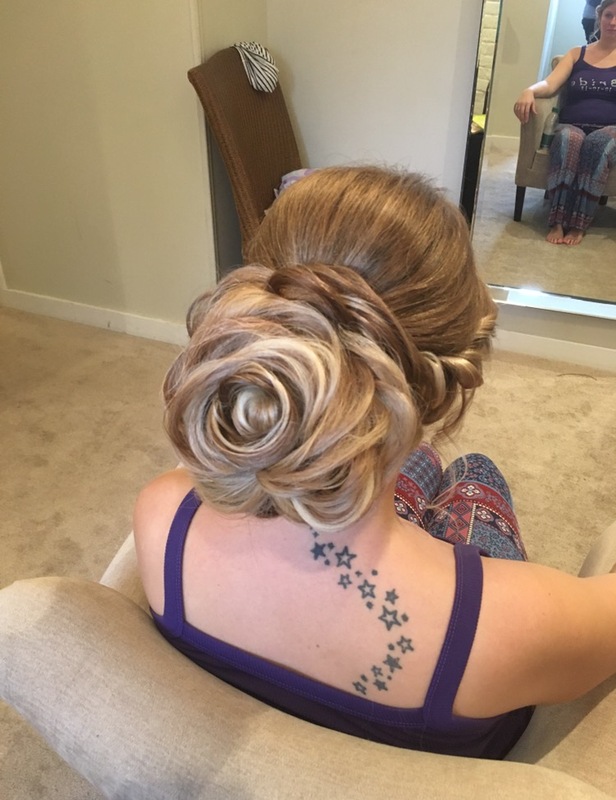 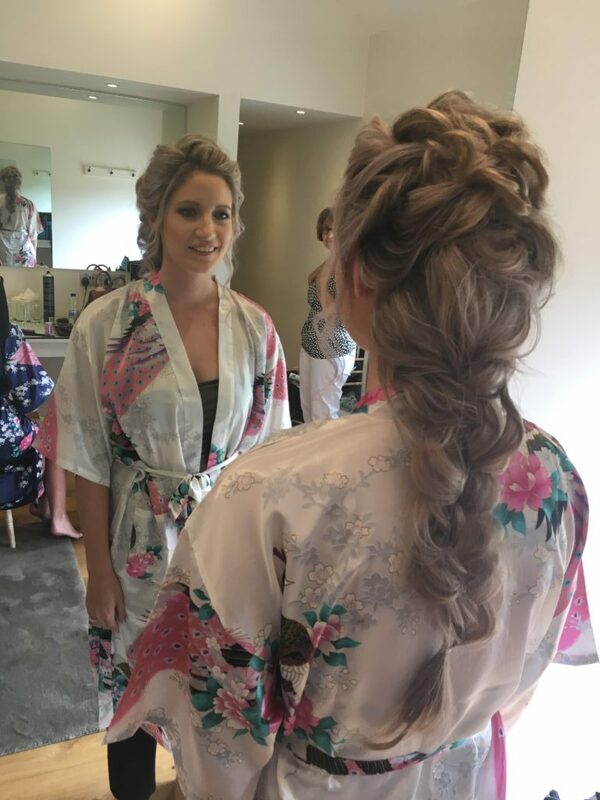 I work with brides and bridal parties on a weekly basis and I am deeply dedicated to giving the best possible hair and makeup service I can. 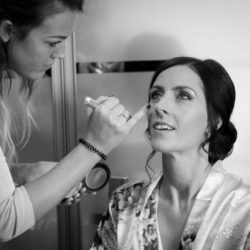 It is an absolute pleasure to share and be a part of a brides big day, its not often you hear people say they love their job and I truly do. 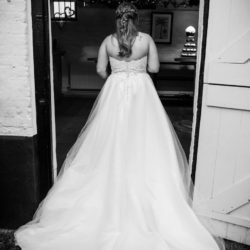 If you wish to view more images of my work please visit ‘Suzanne’s Gallery’ I would love to hear from you so why not get in touch. 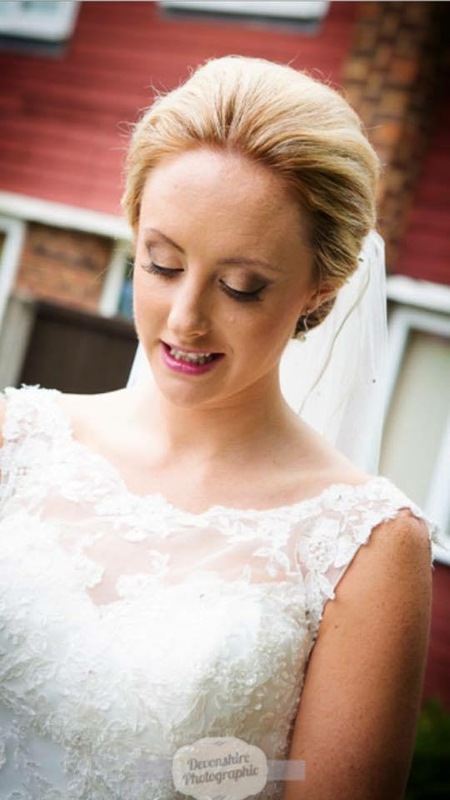 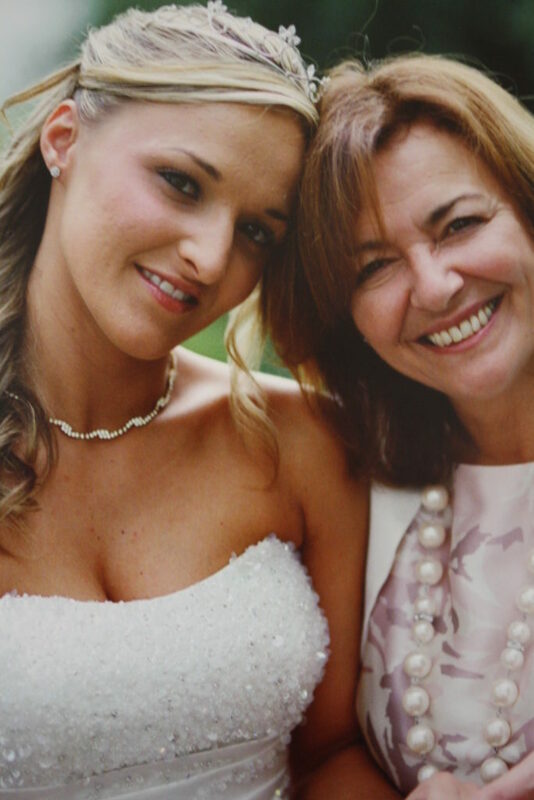 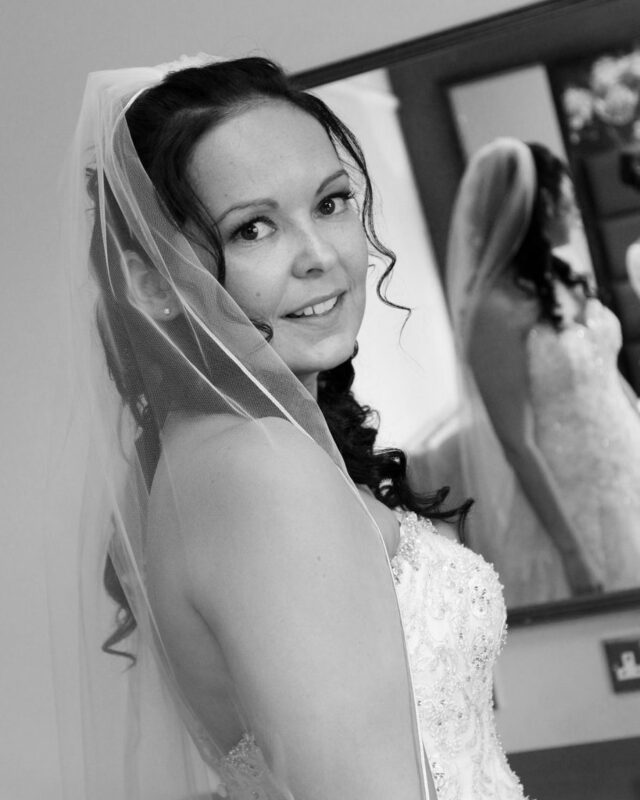 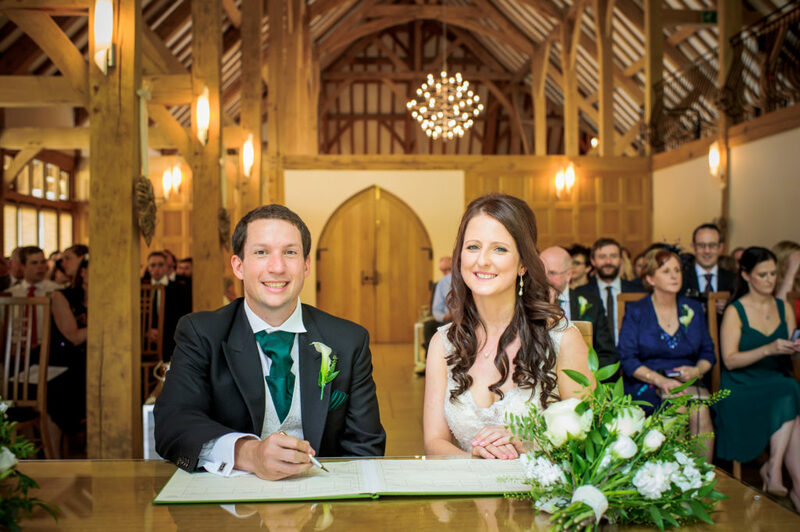 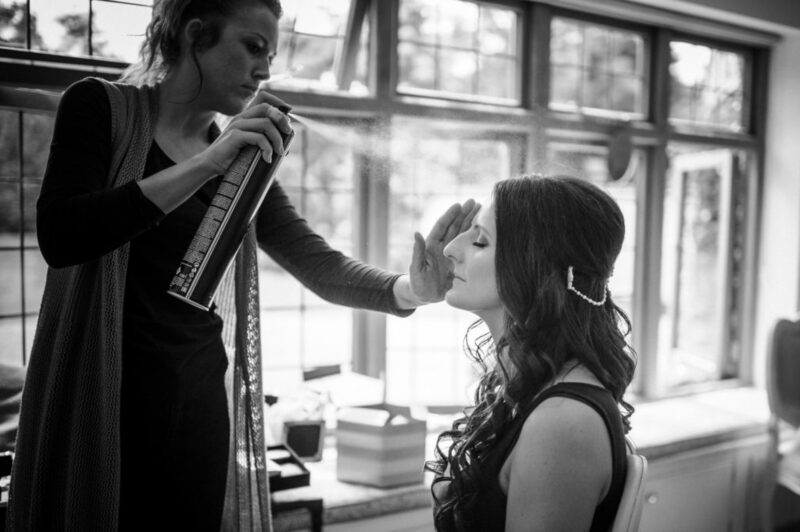 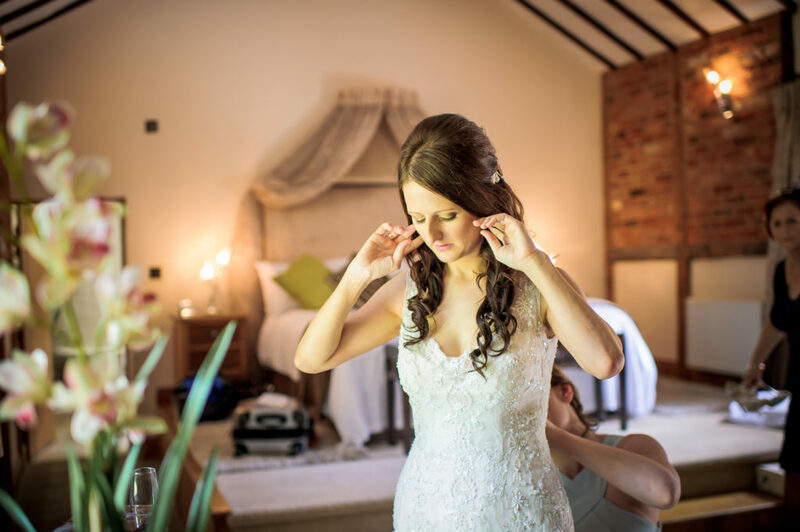 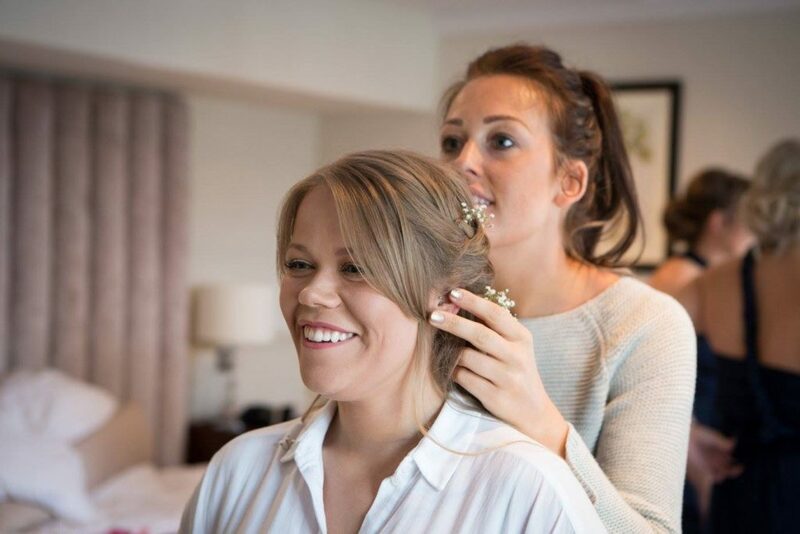 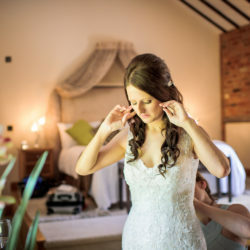 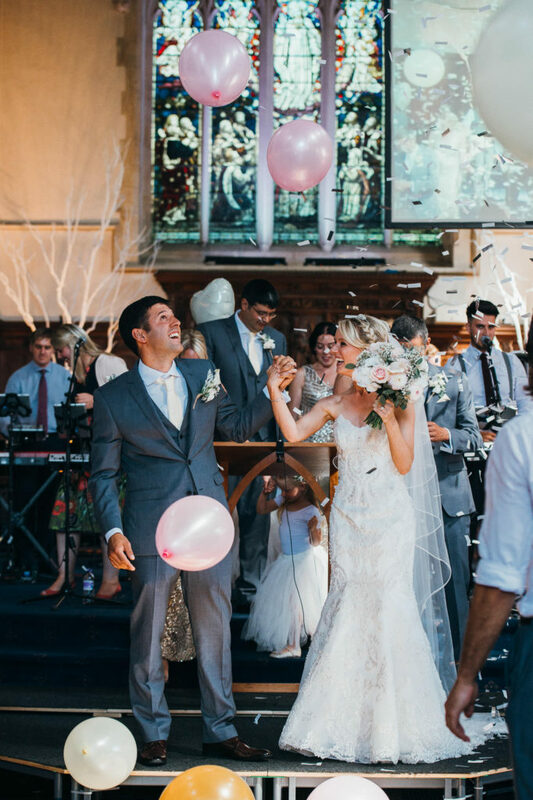 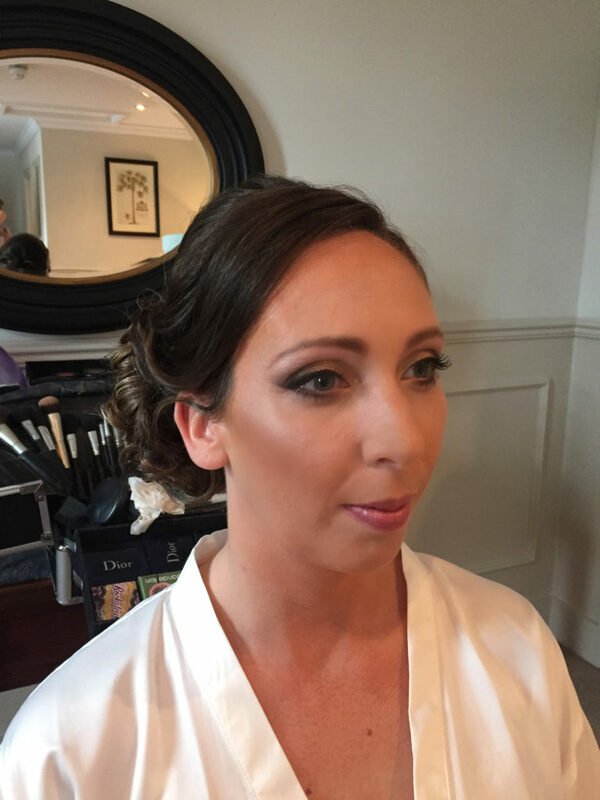 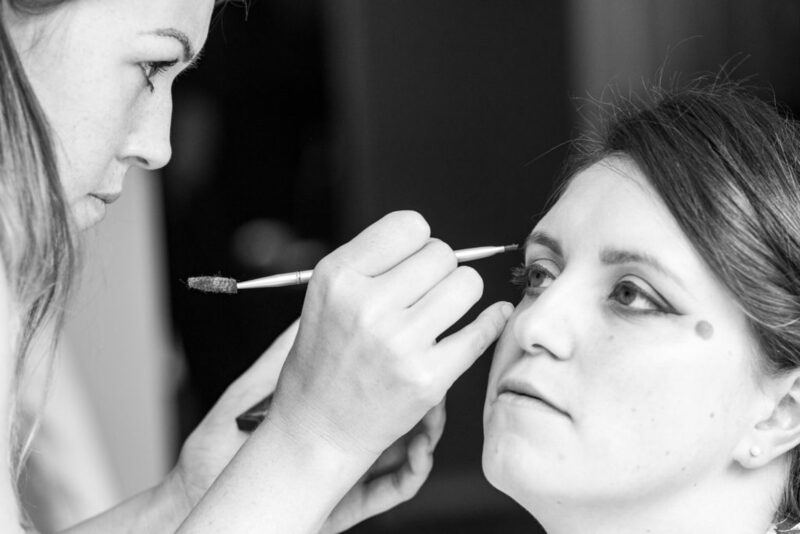 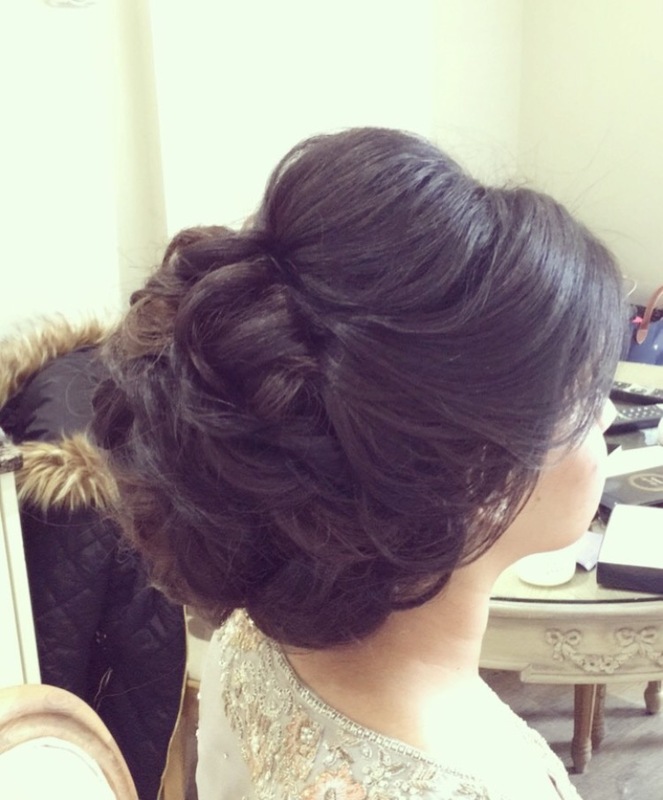 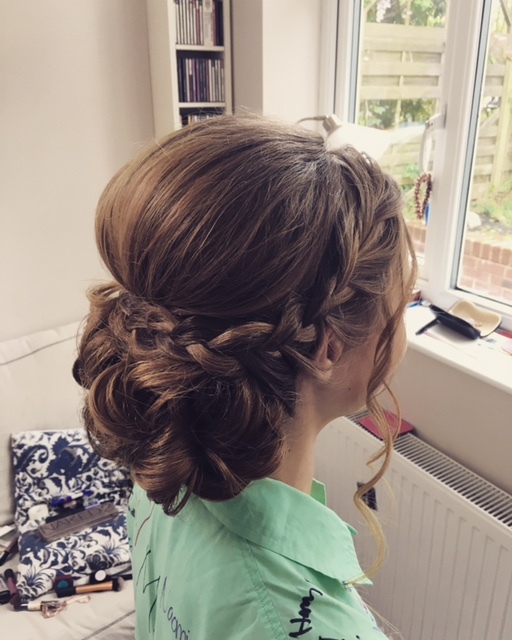 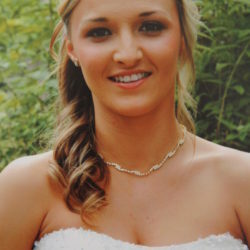 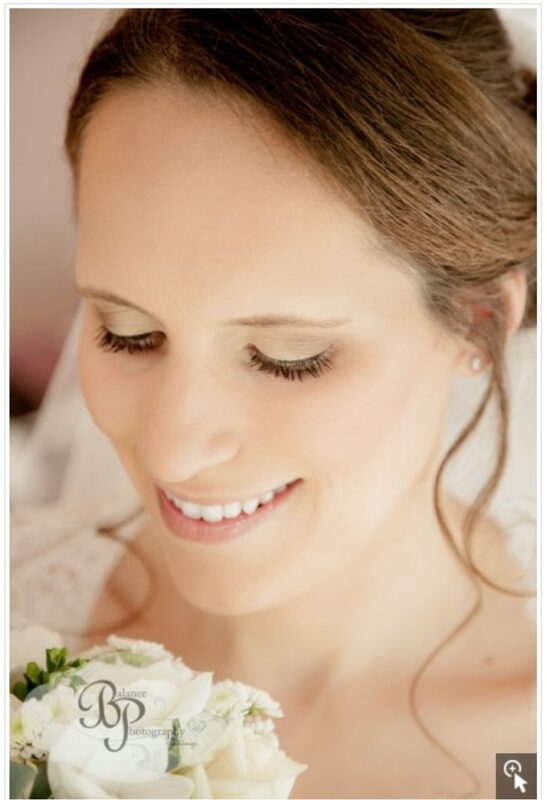 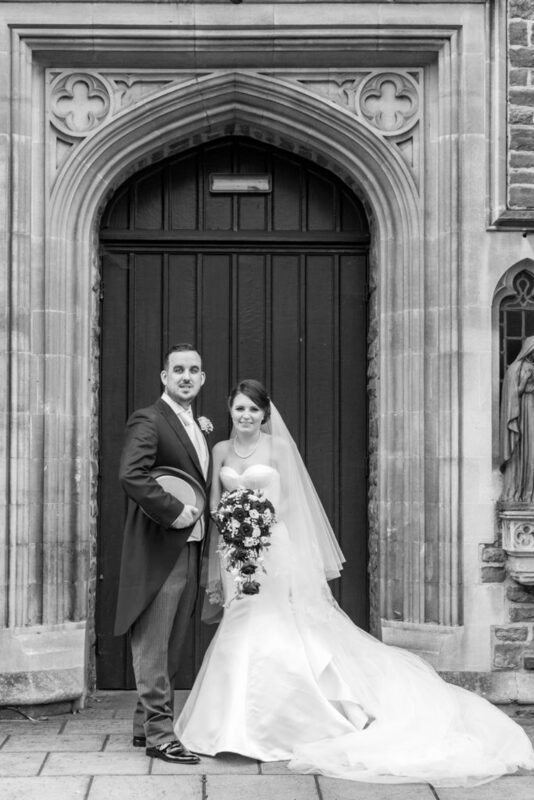 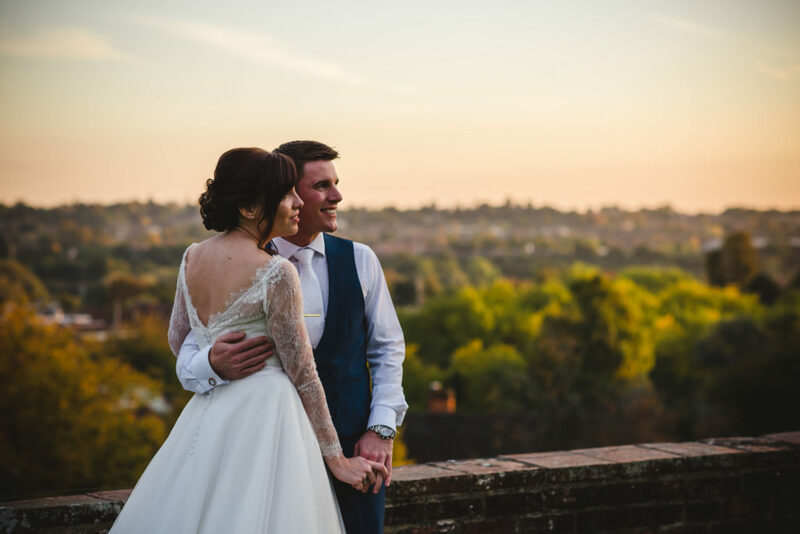 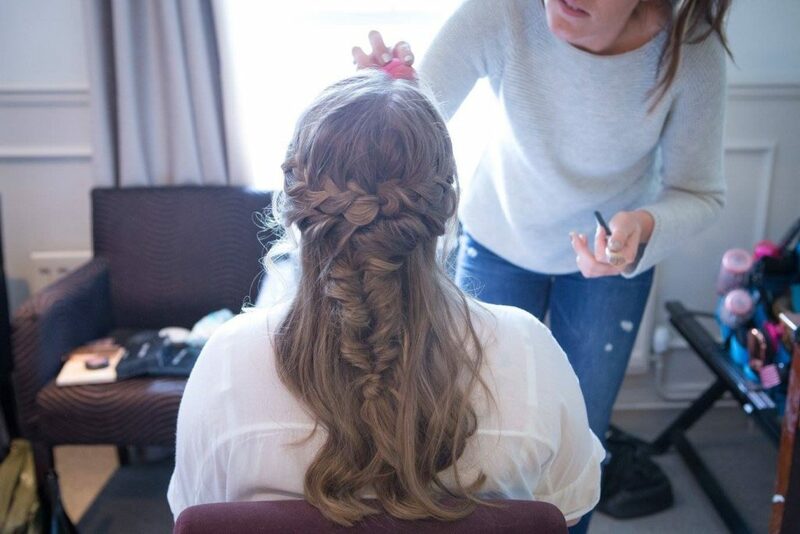 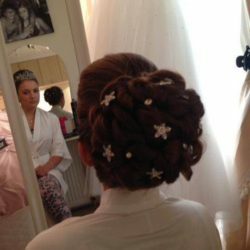 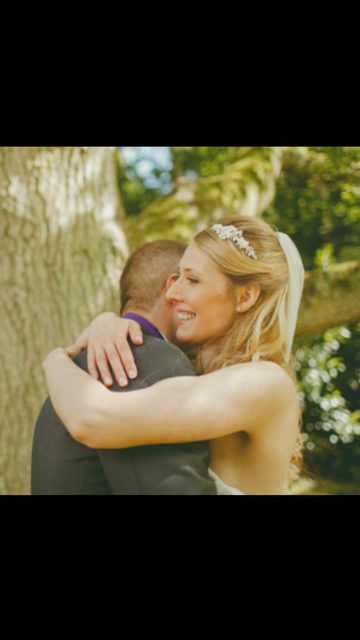 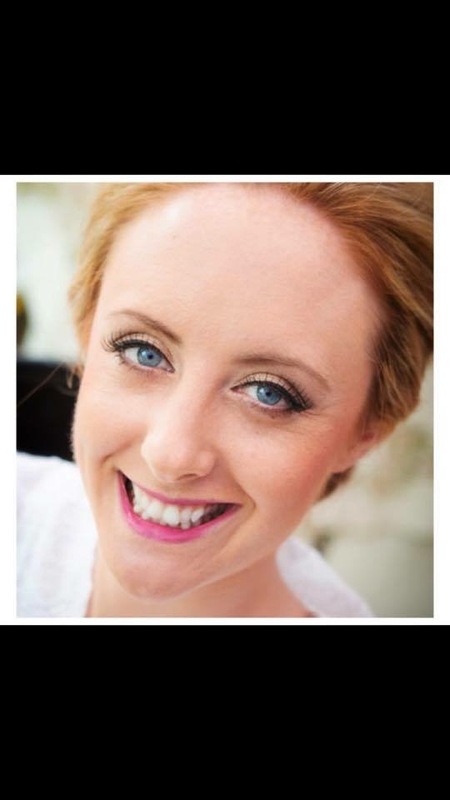 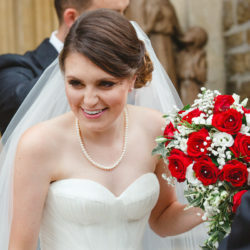 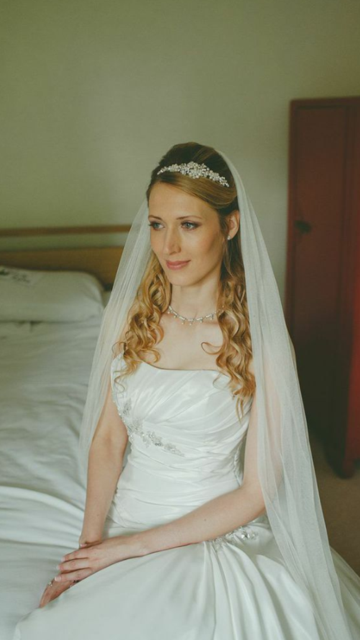 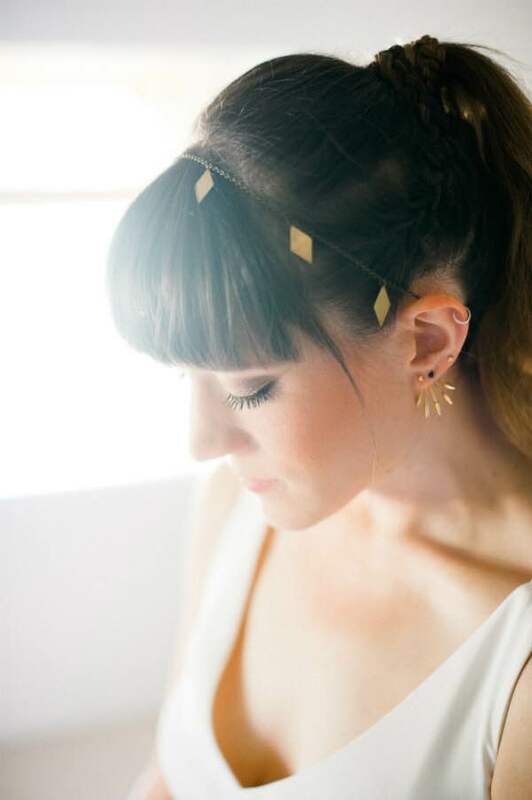 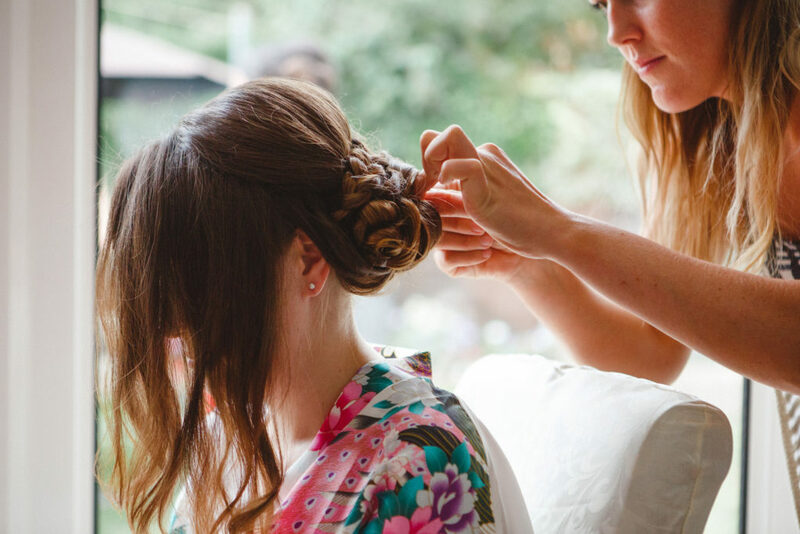 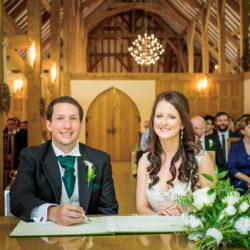 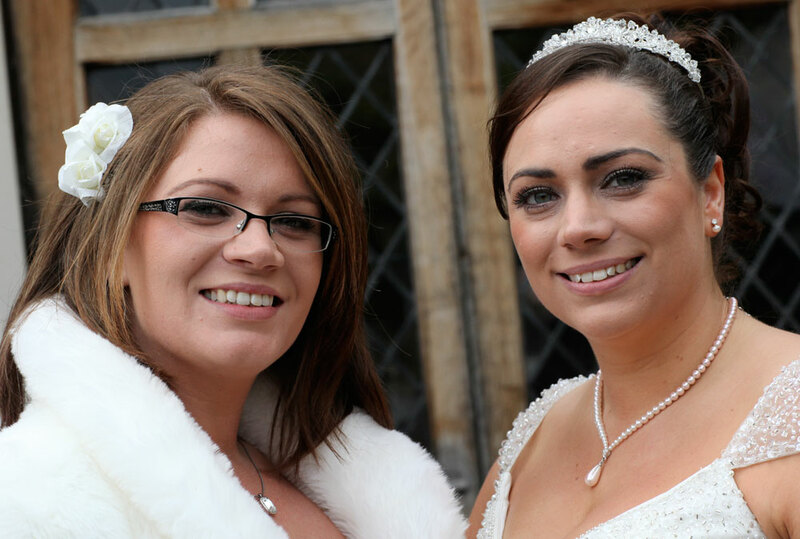 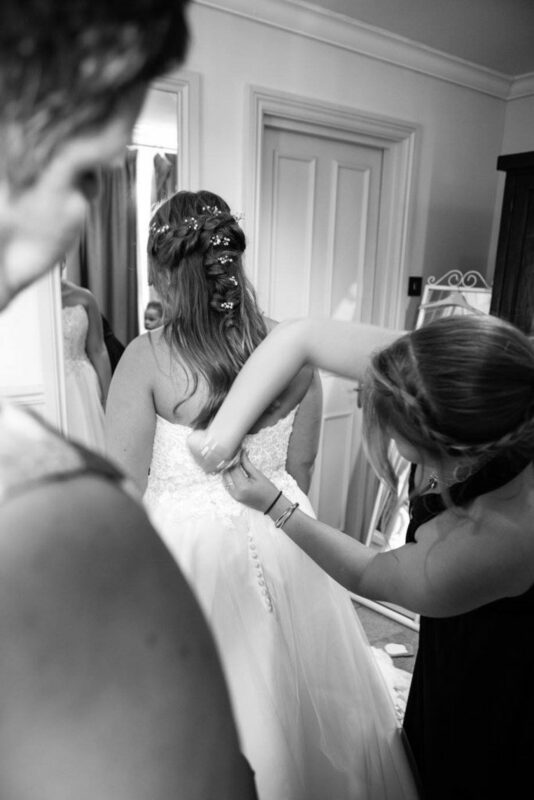 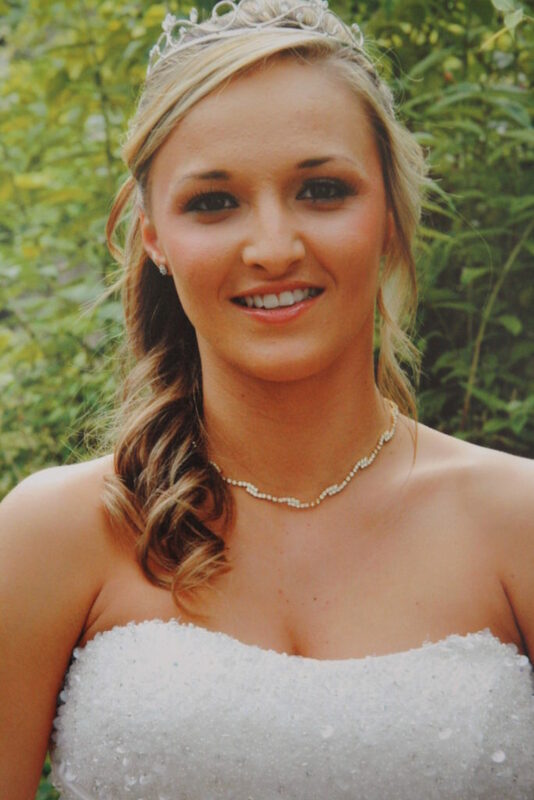 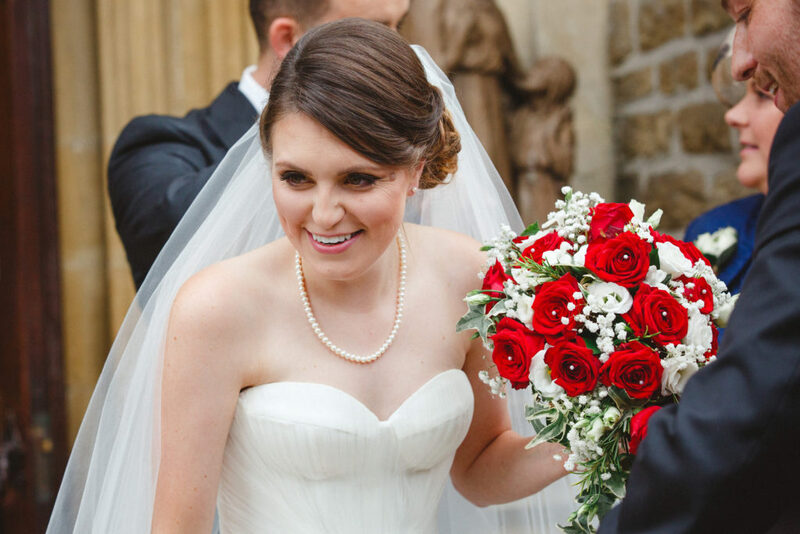 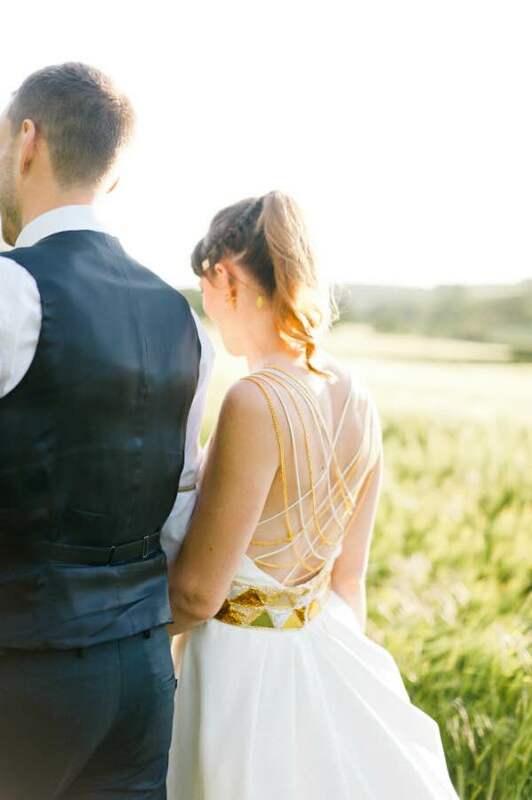 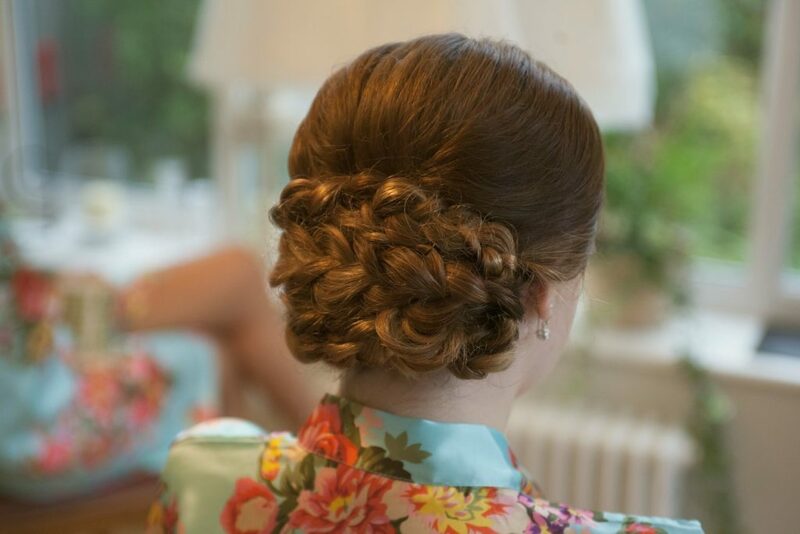 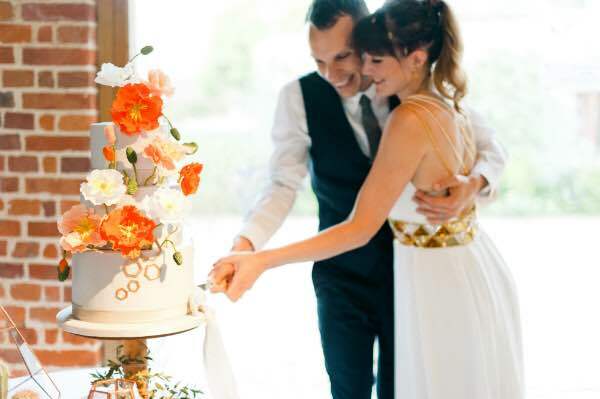 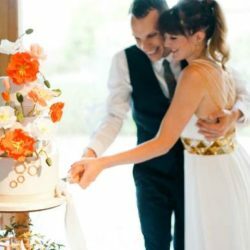 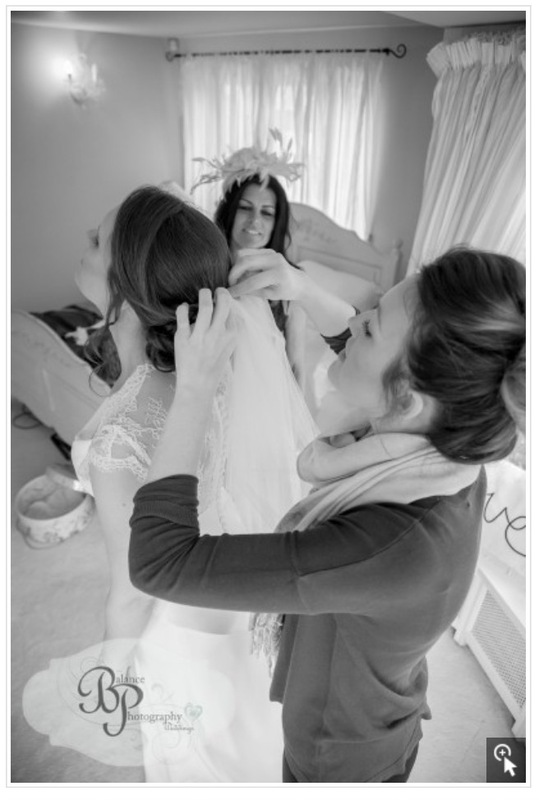 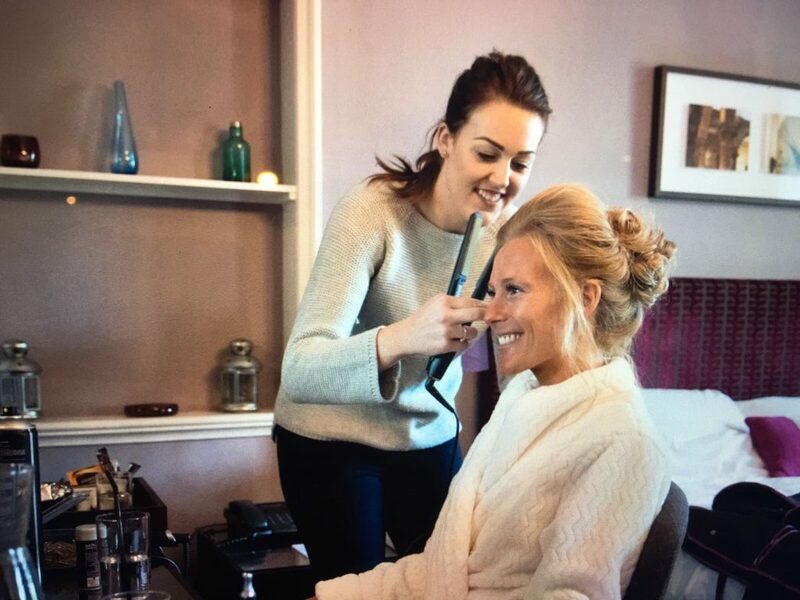 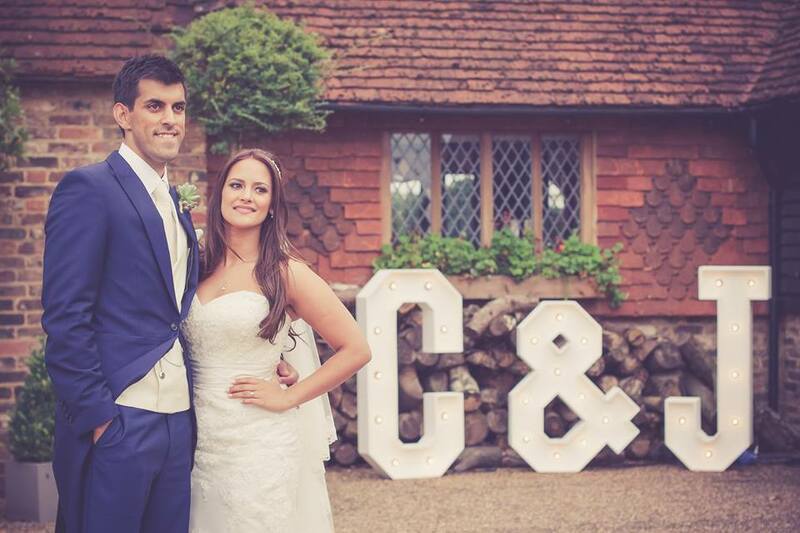 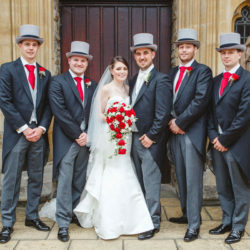 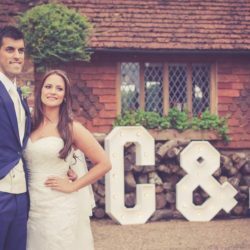 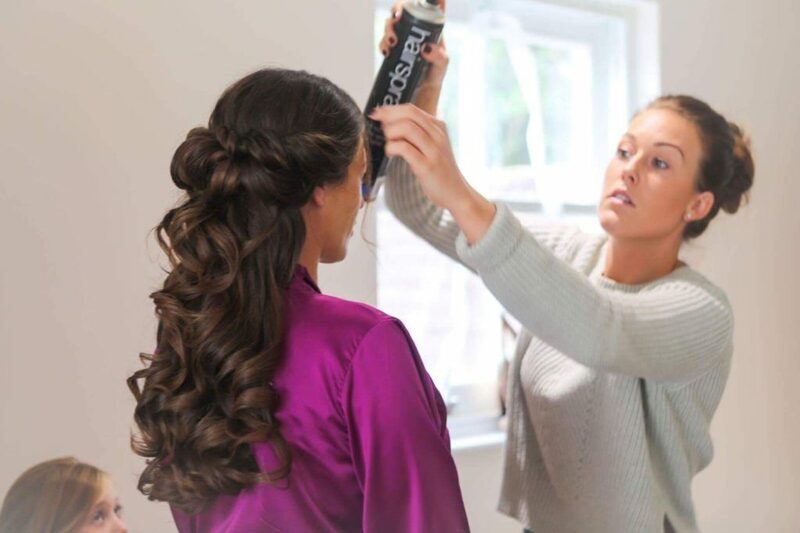 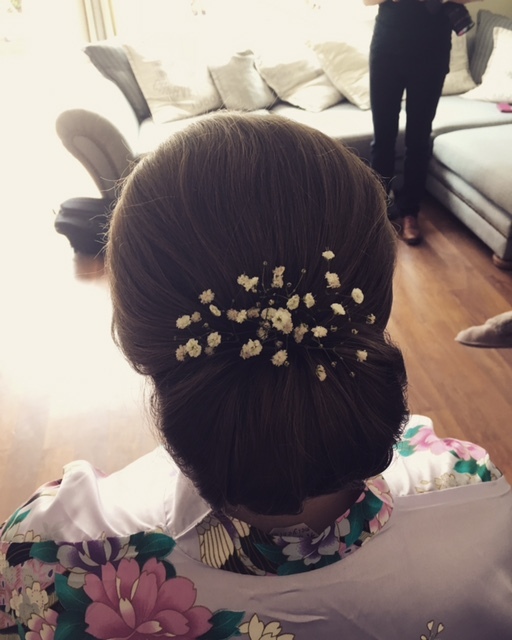 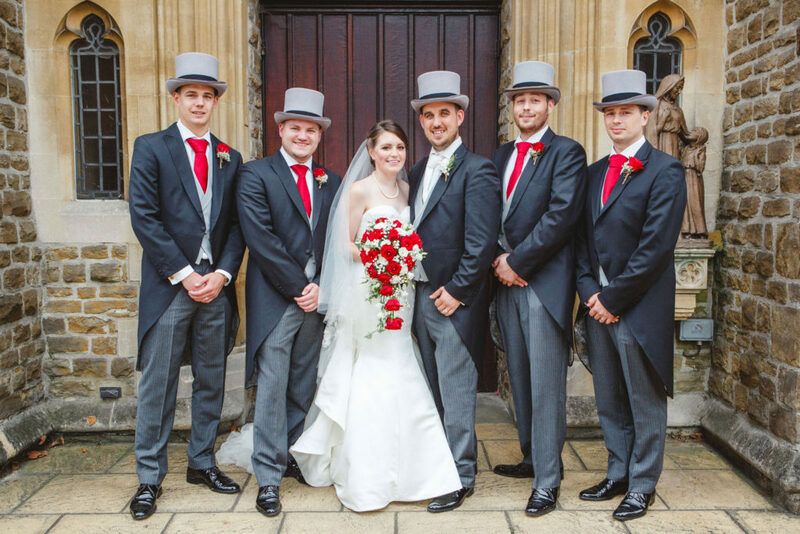 "Suzanne was truly amazing on my wedding morning. 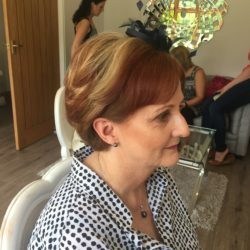 She was so calm and made me feel very relaxed. 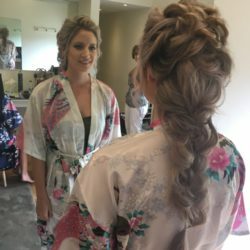 She did a wonderful job on mine and my bridesmaids hair and makeup we got so many compliments and we all absolutely loved the look she achieved on us!! 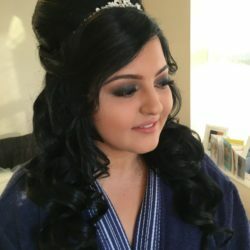 I would highly recommend Suzanne to everyone!! 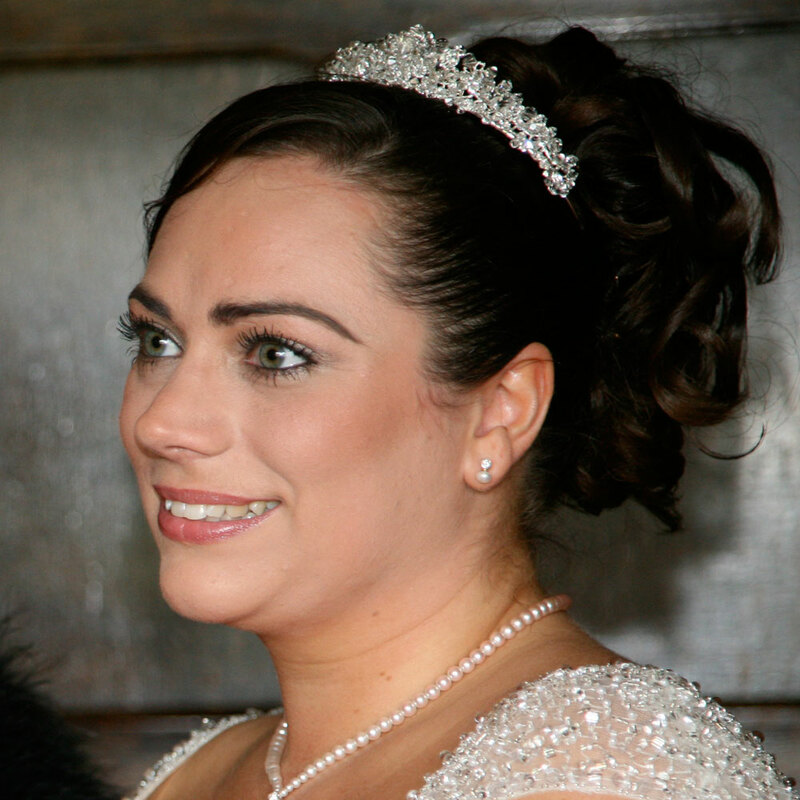 Thank you again Suzanne"
"I would just like to say thank you for doing a great job for my wedding! 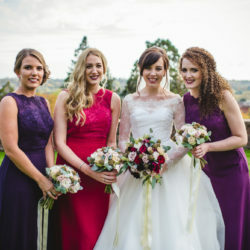 You made me and my bridesmaids look so beautiful. 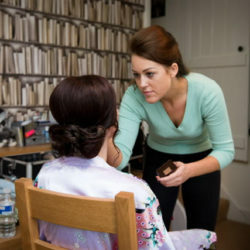 When the photos are done by the professional photographer I will send to you!! 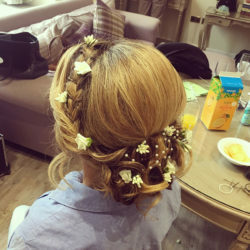 Anyway thanks again lovely girl, you did an amazing job for four people!!" 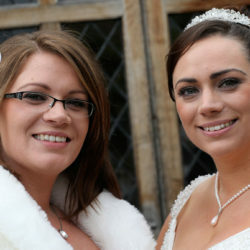 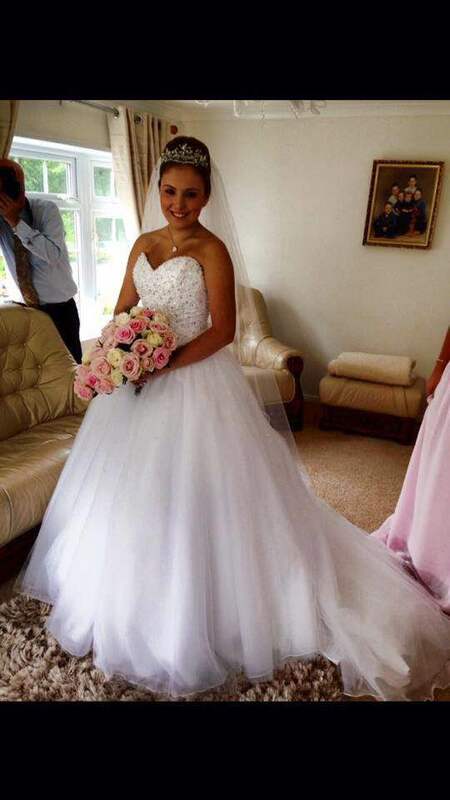 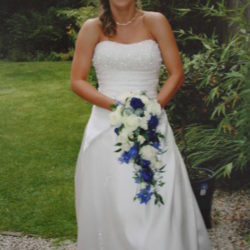 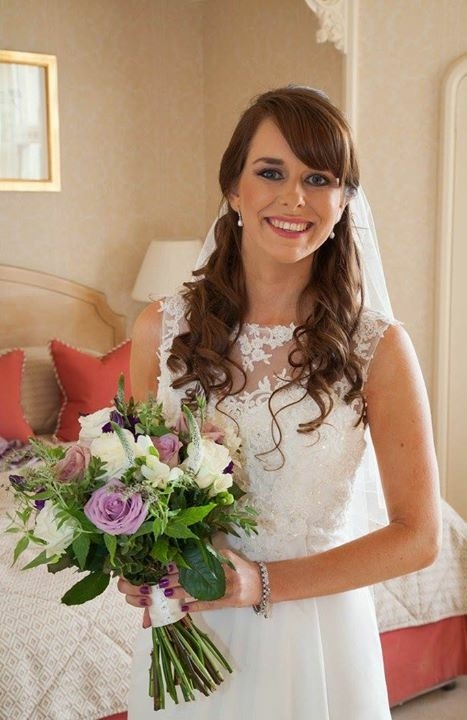 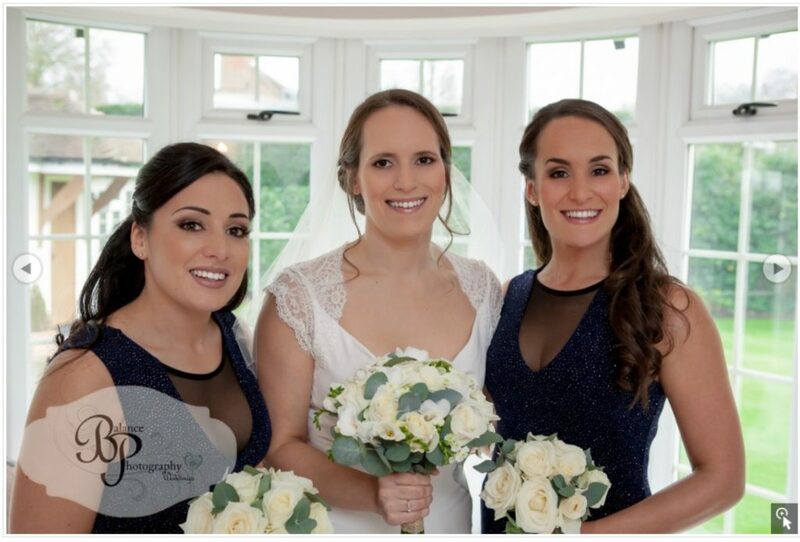 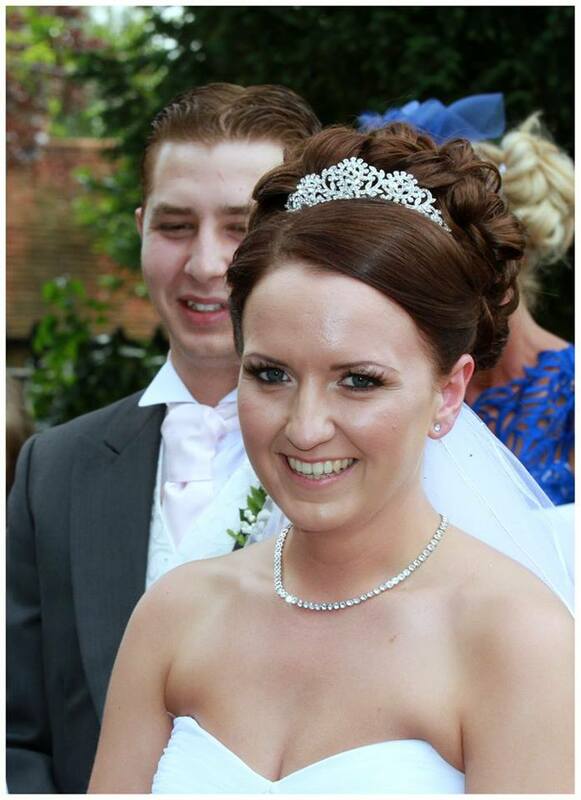 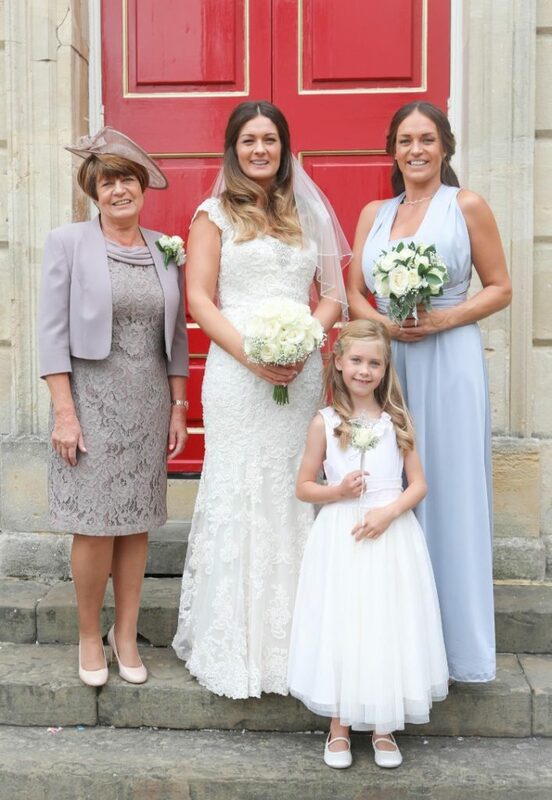 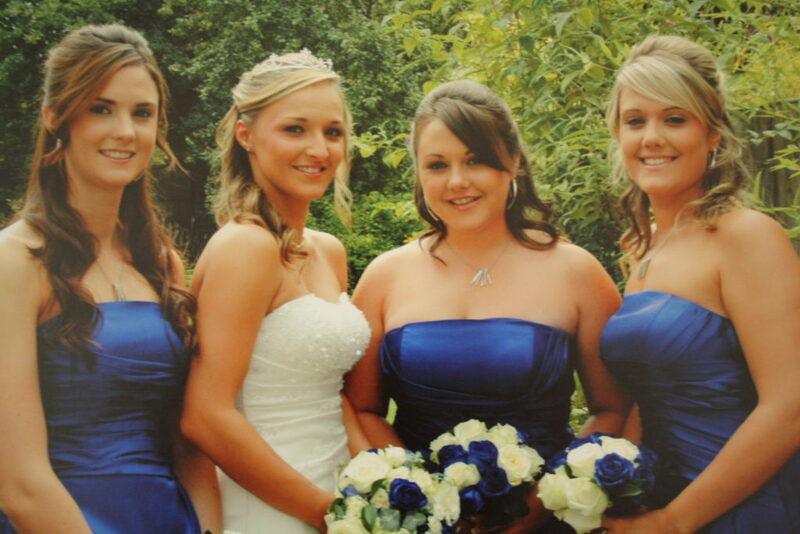 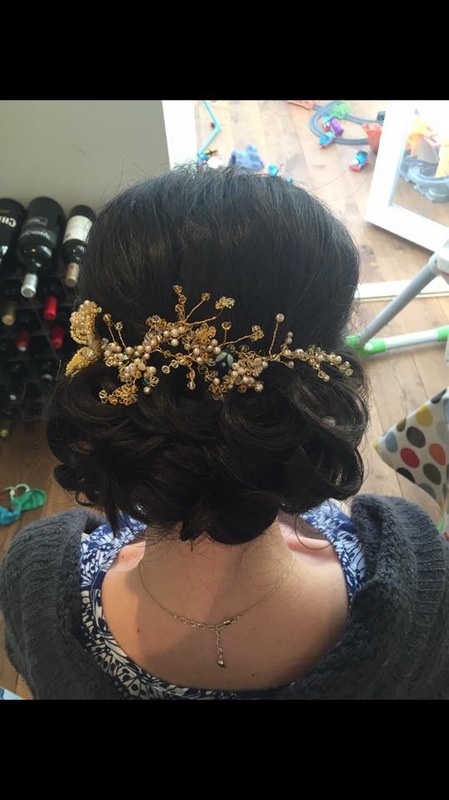 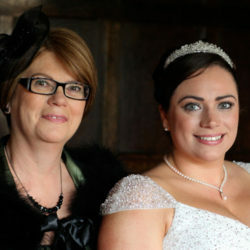 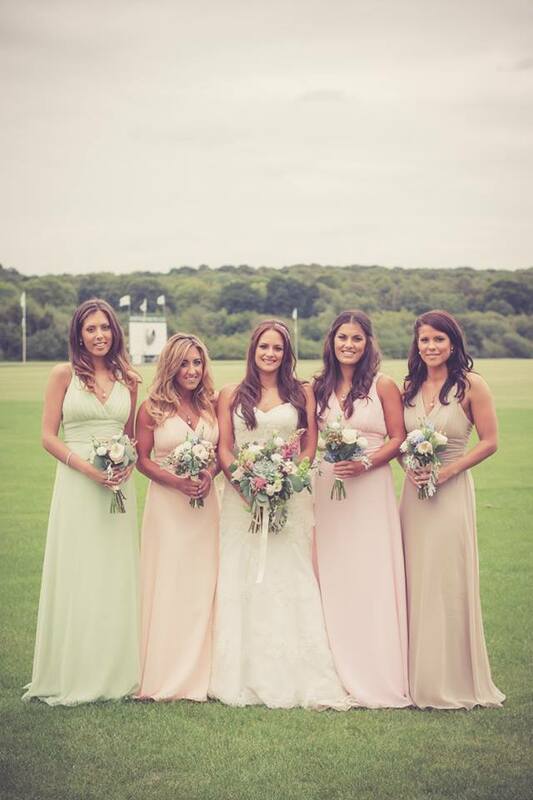 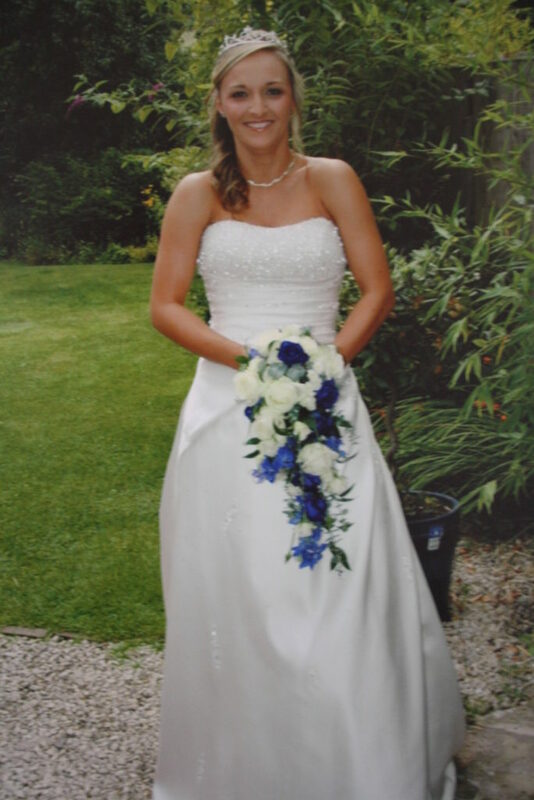 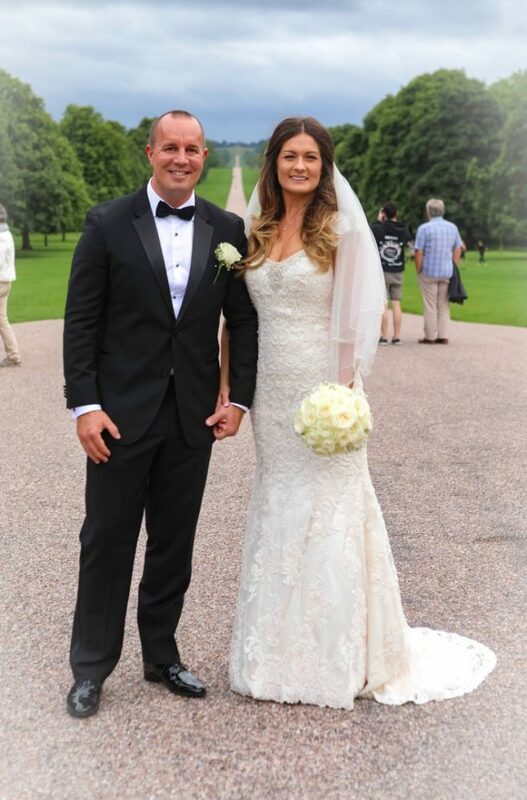 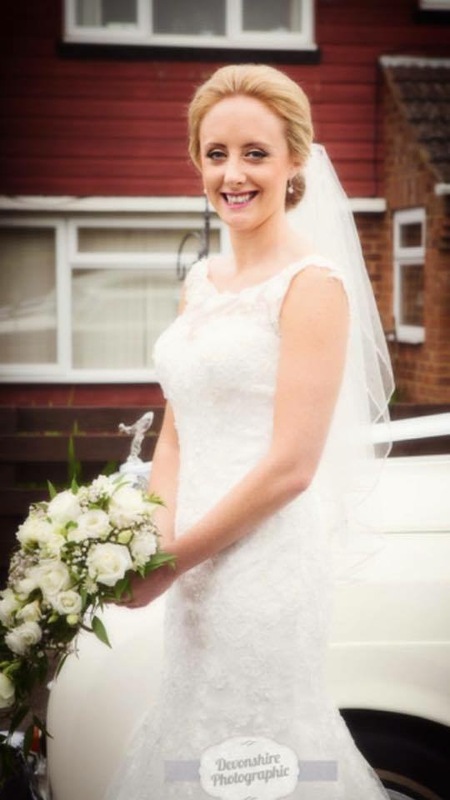 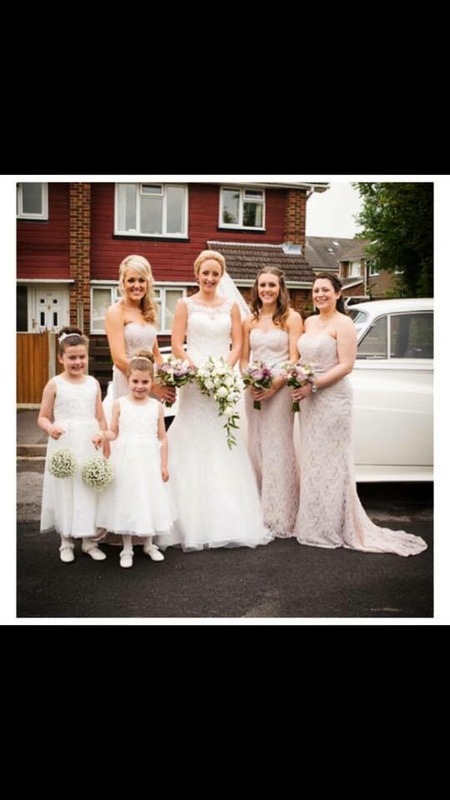 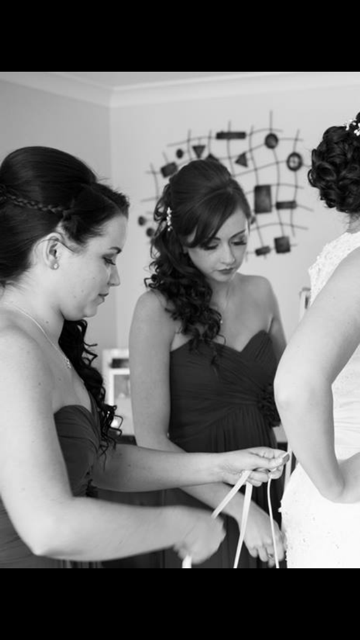 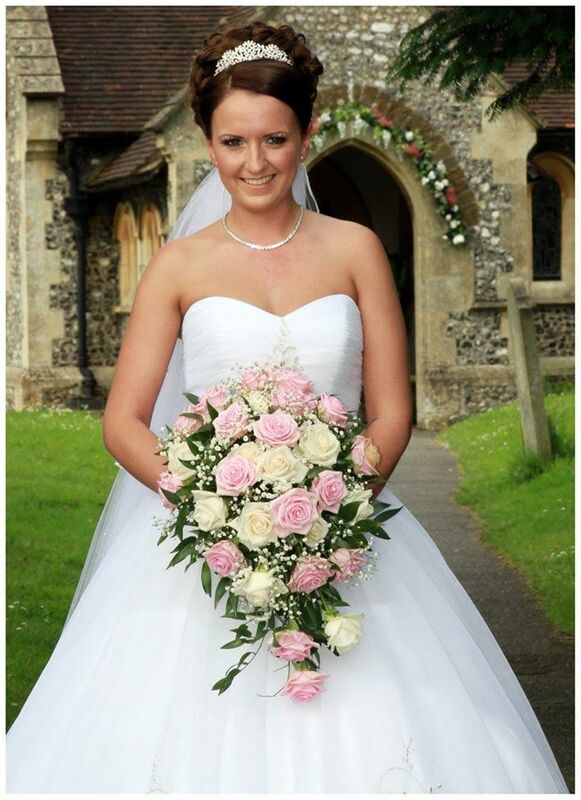 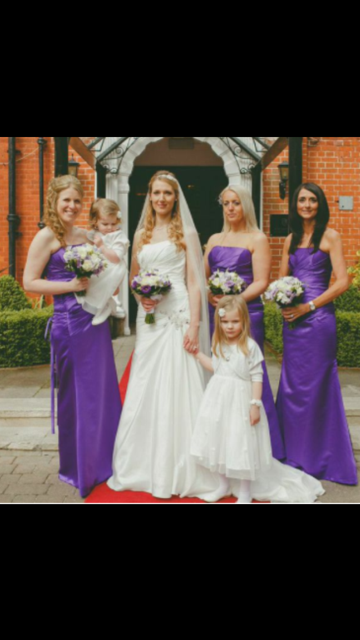 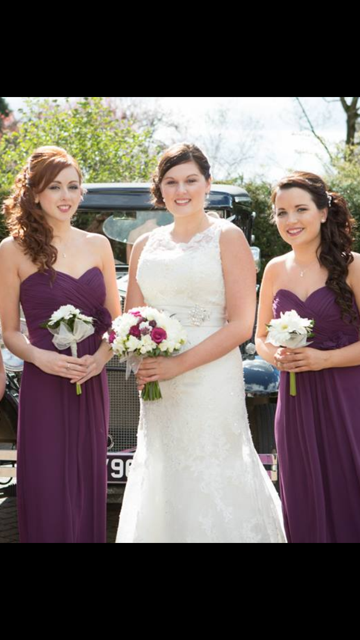 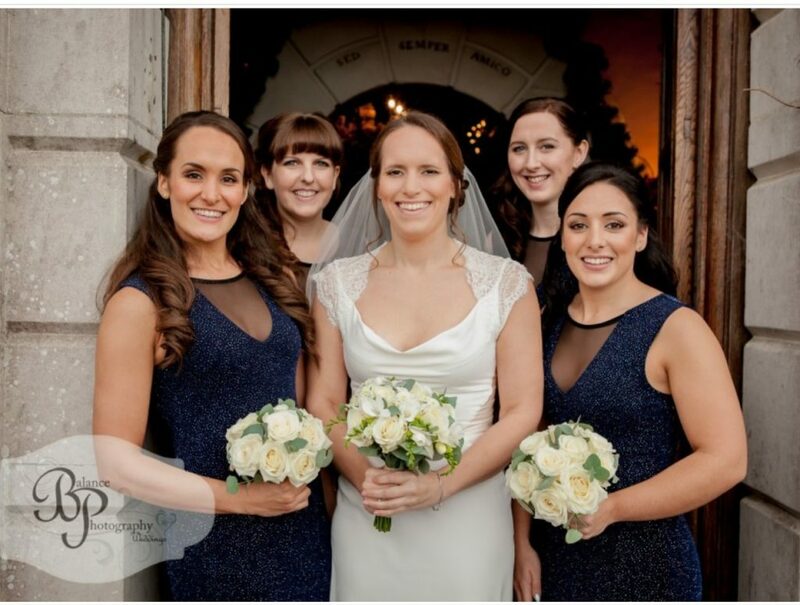 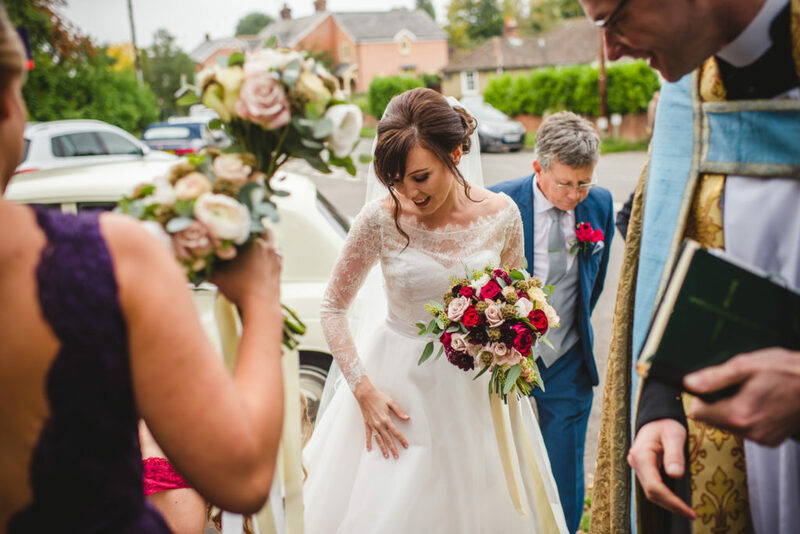 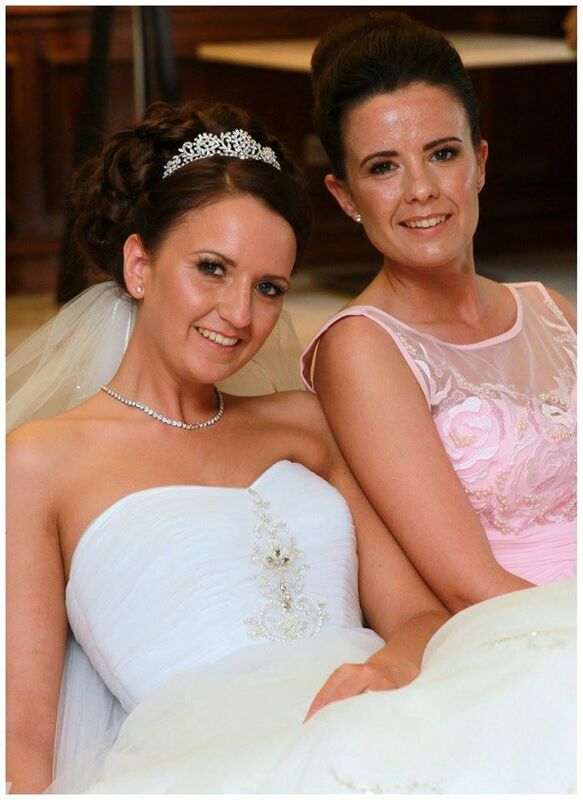 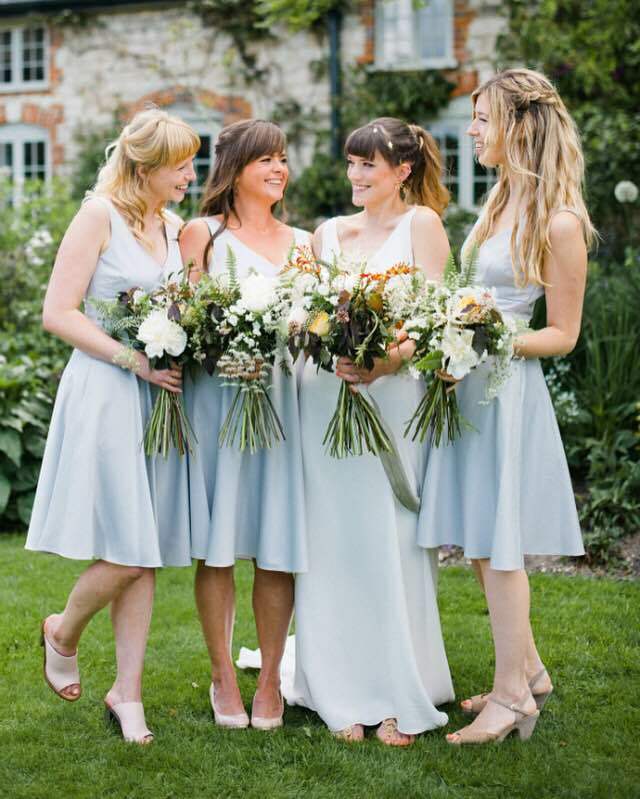 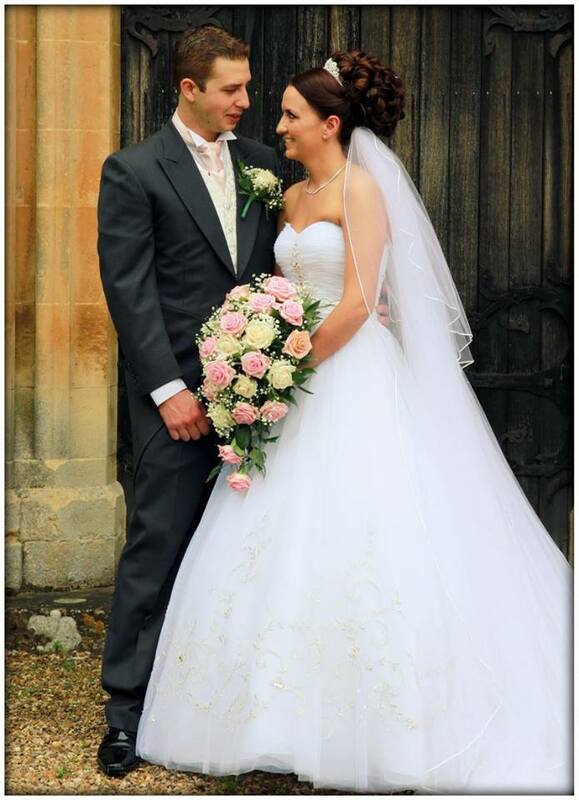 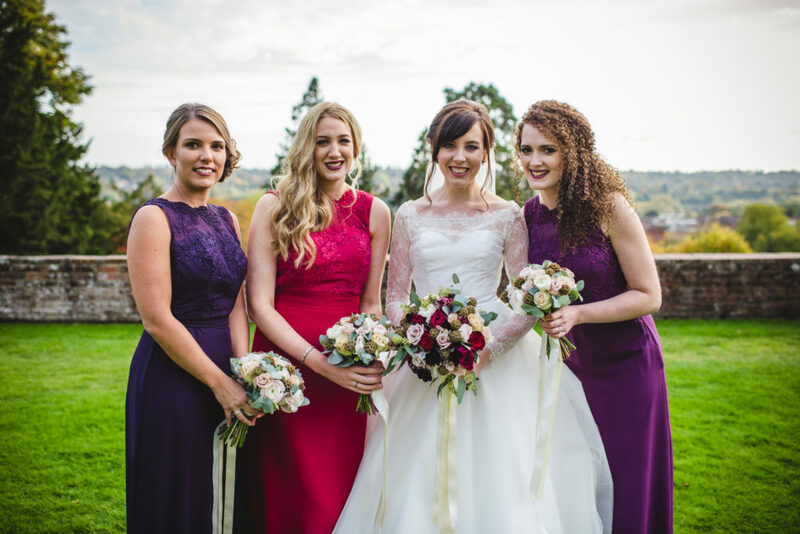 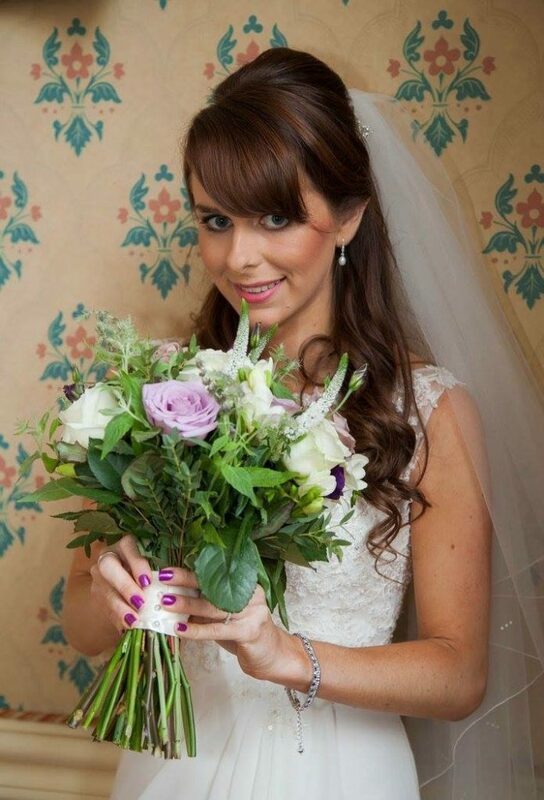 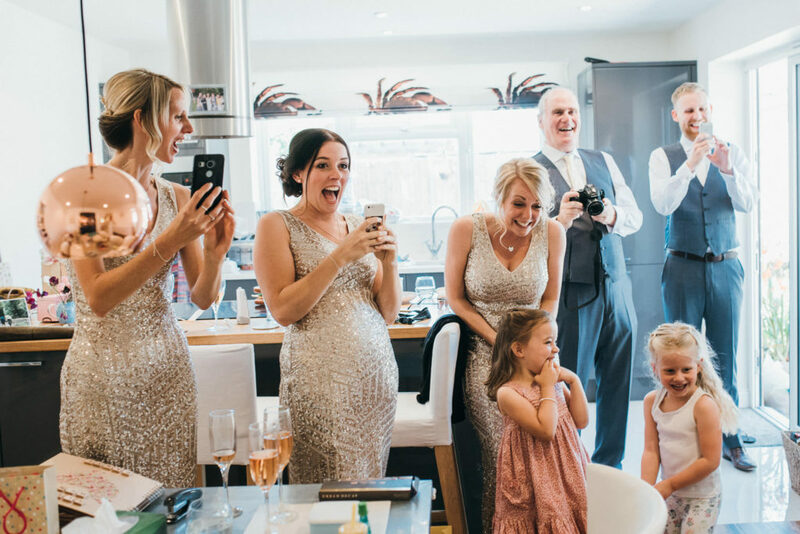 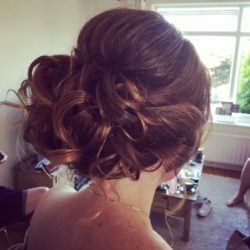 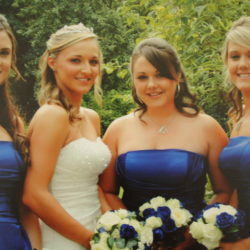 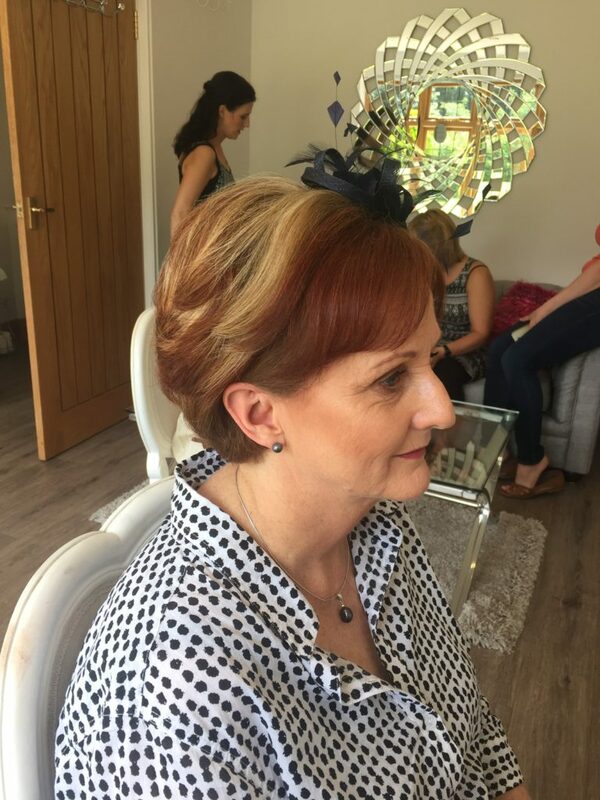 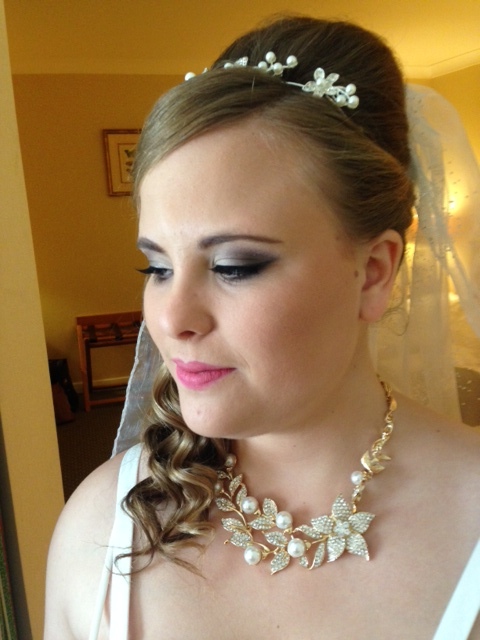 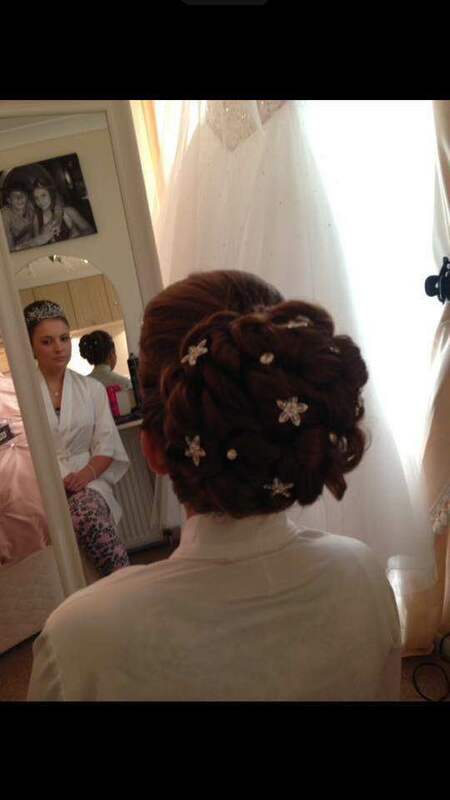 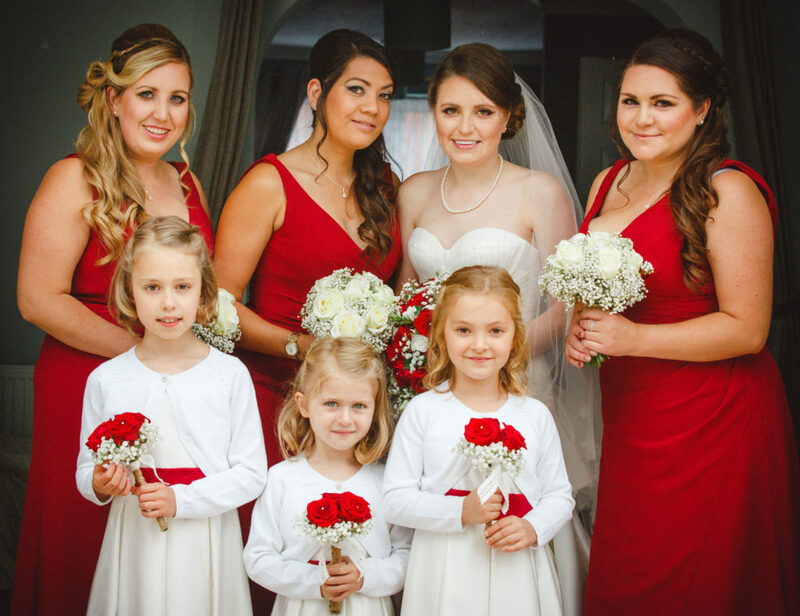 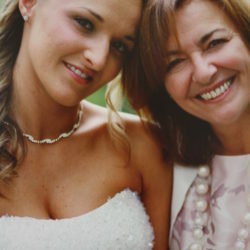 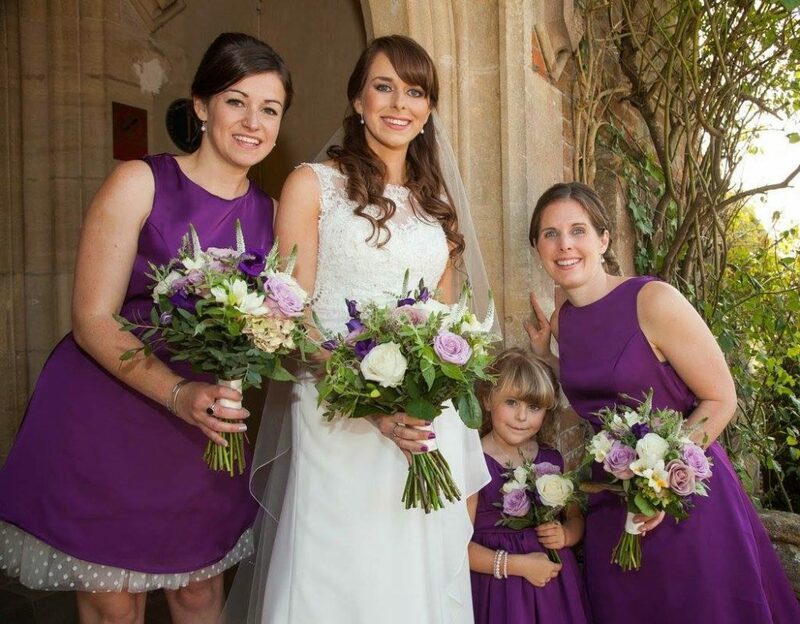 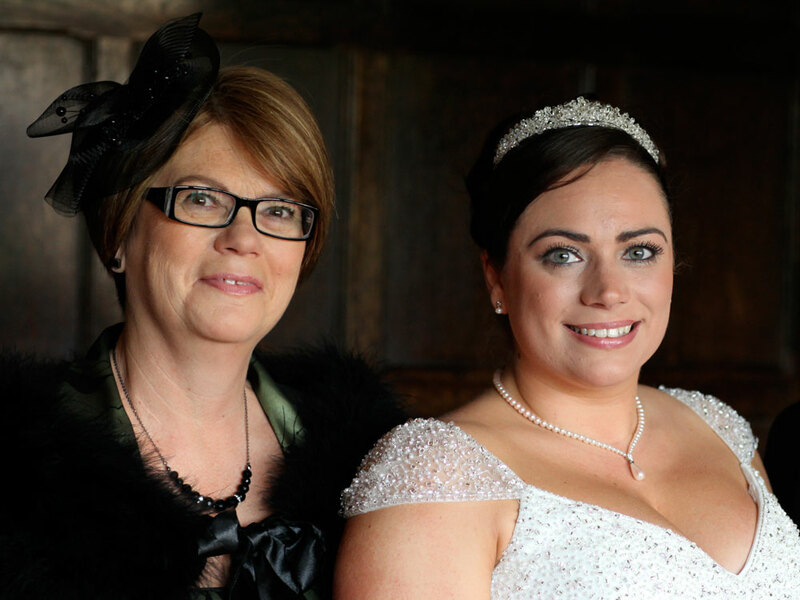 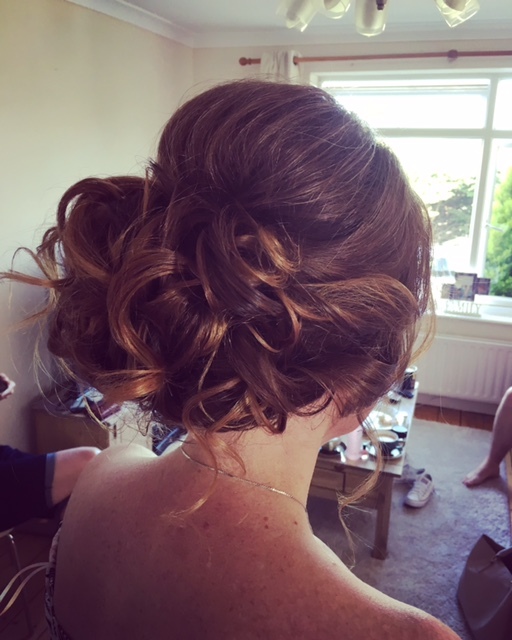 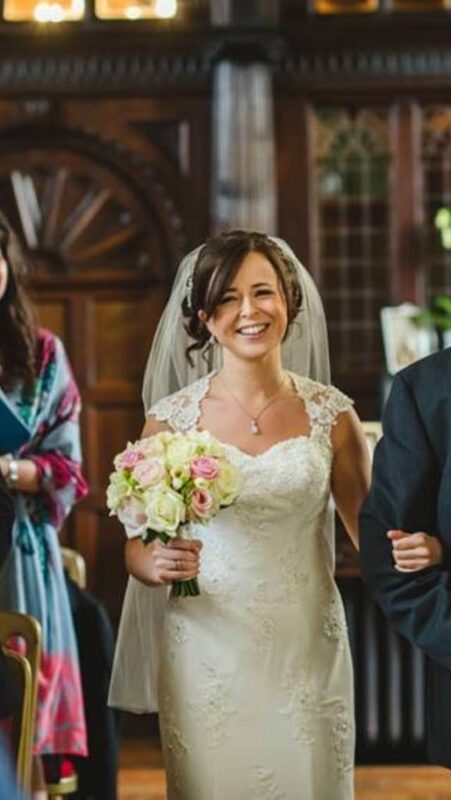 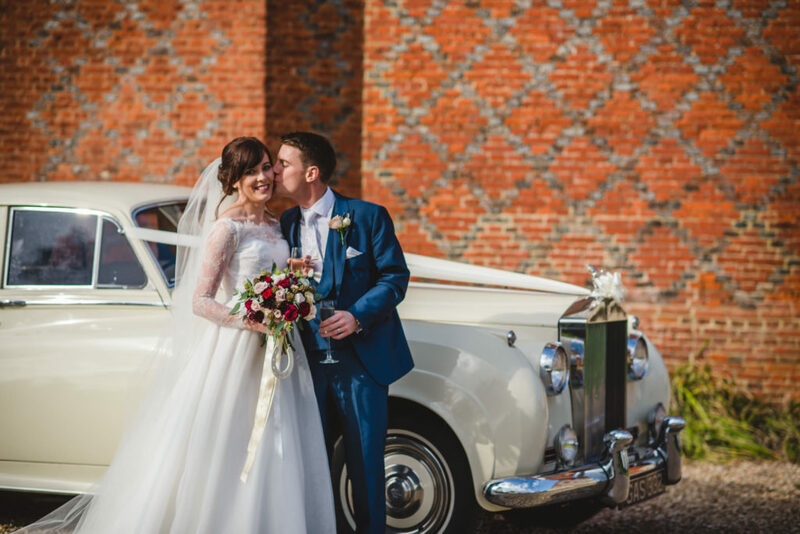 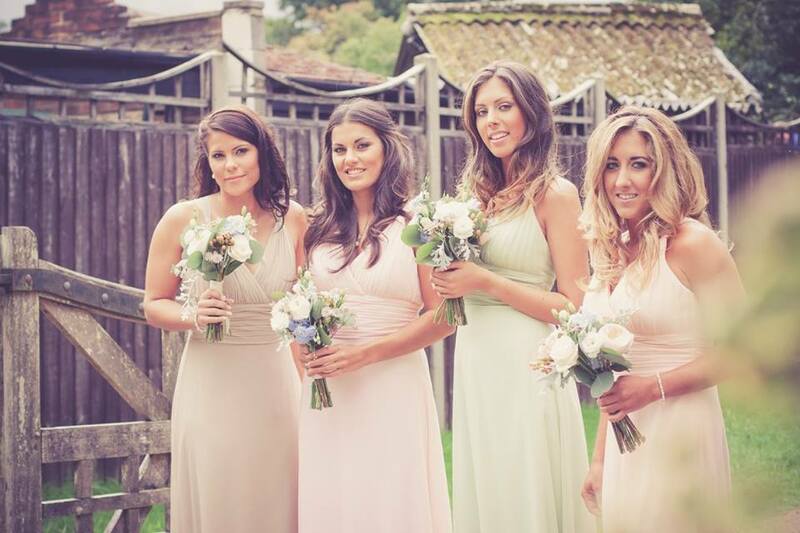 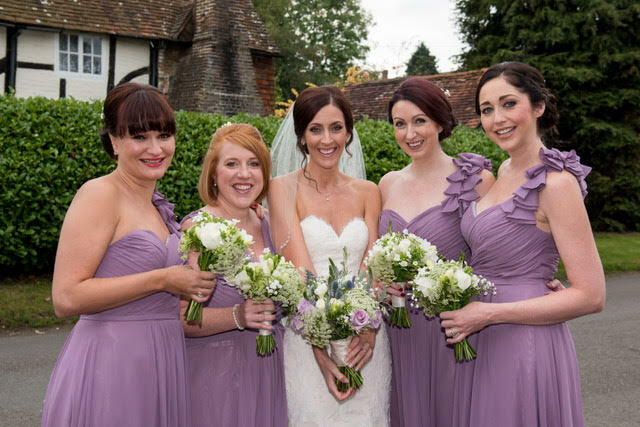 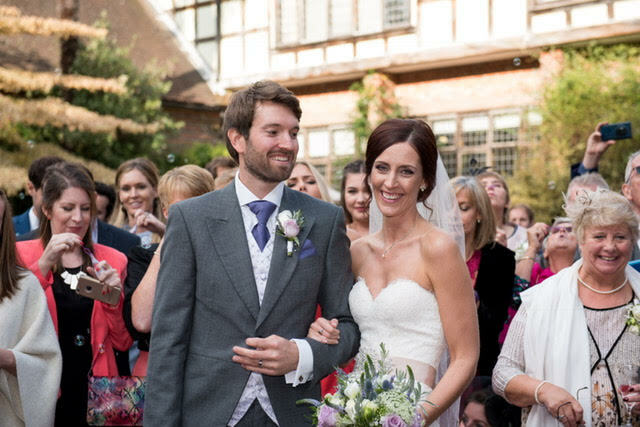 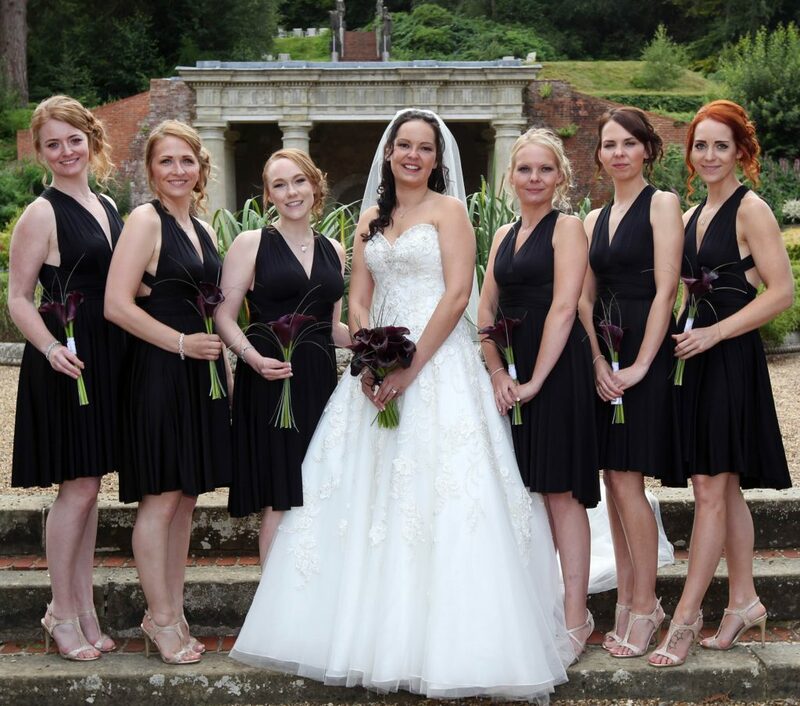 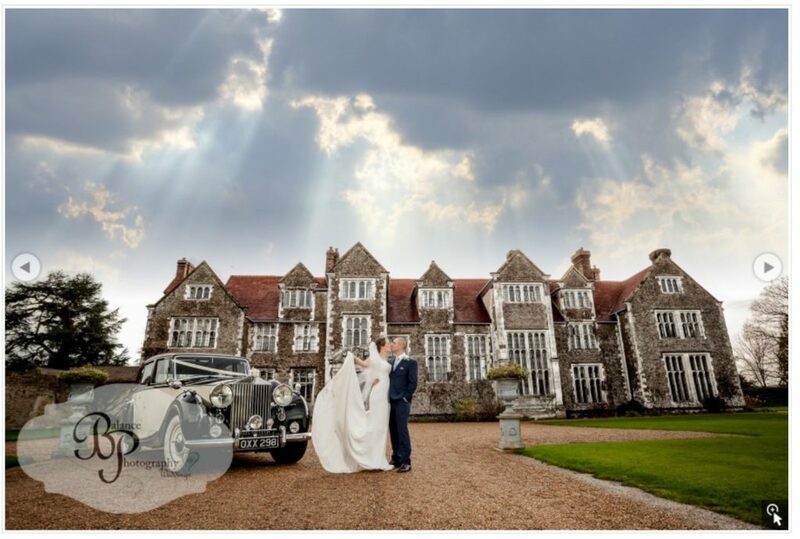 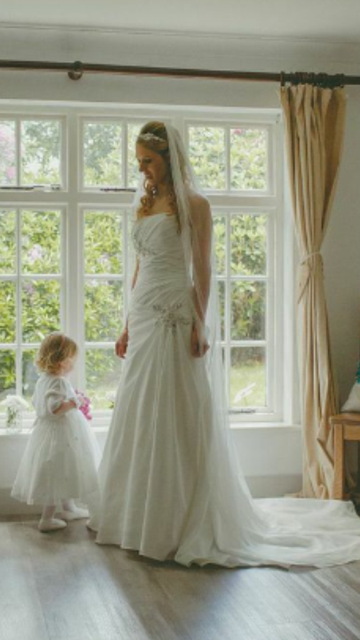 "Suzanne thank you so much for doing such a fab job on mine, my mothers and bridesmaids hair and makeup. 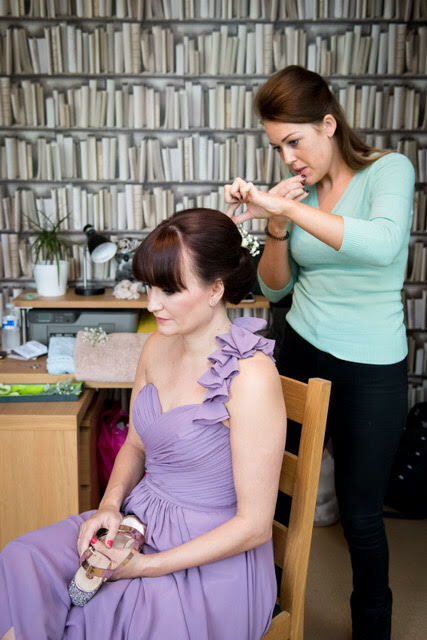 You made my wedding morning so special and you kept me very calm and stress free just what a bride needs!! 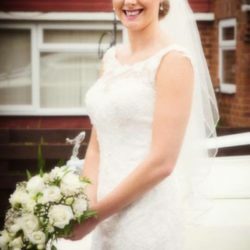 Thank you again"